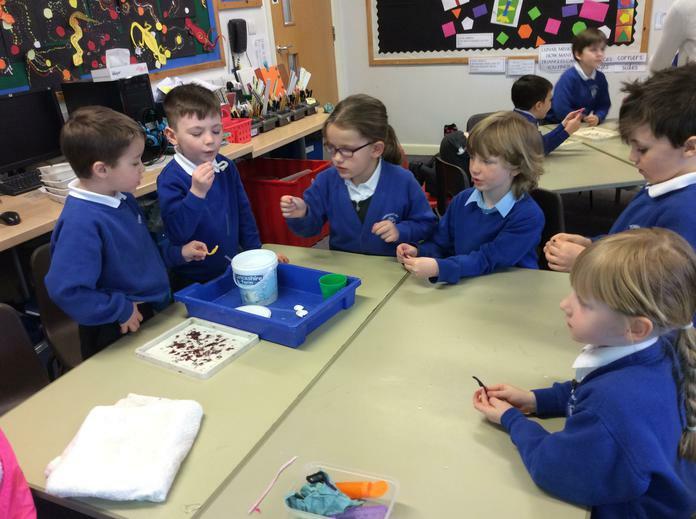 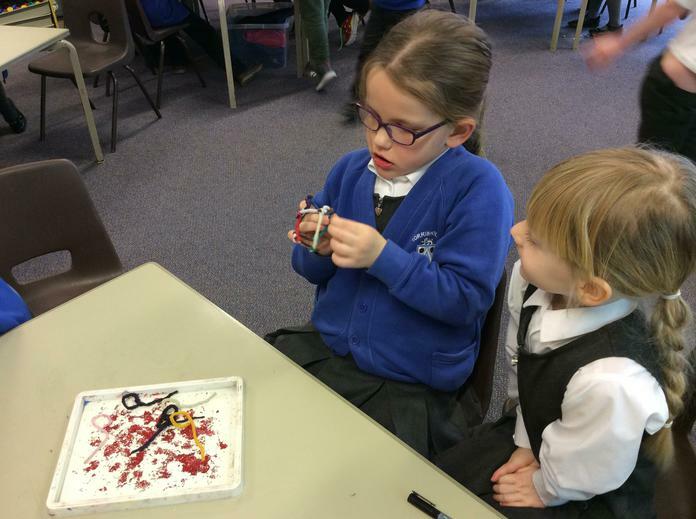 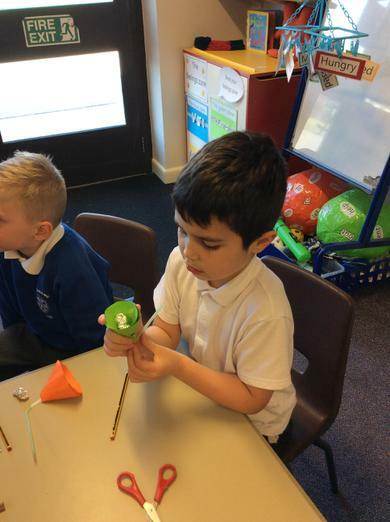 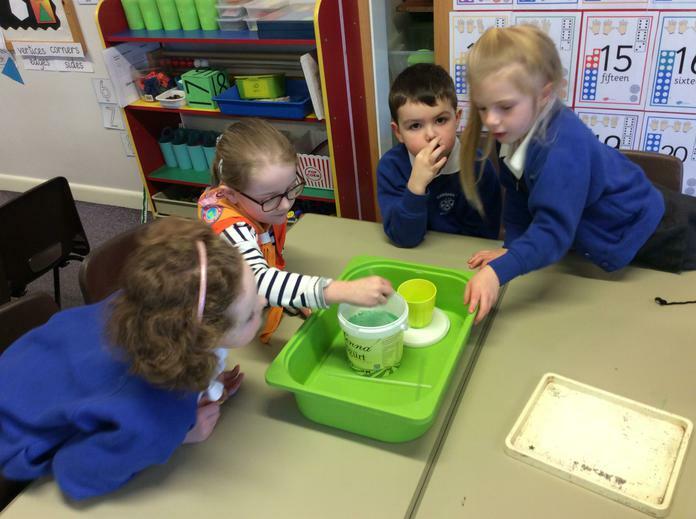 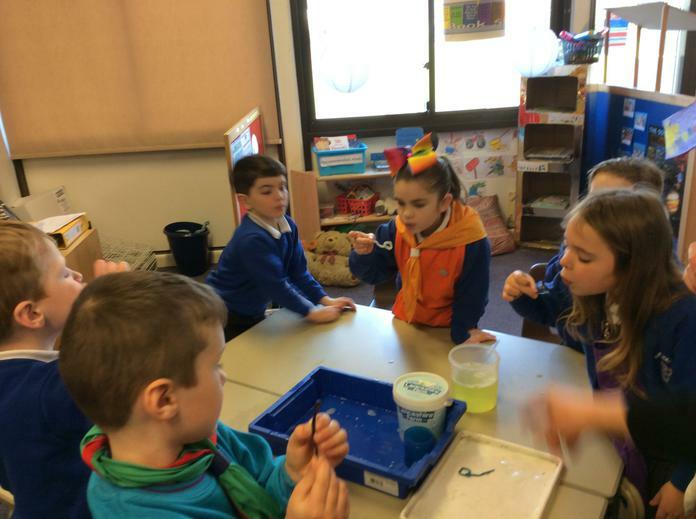 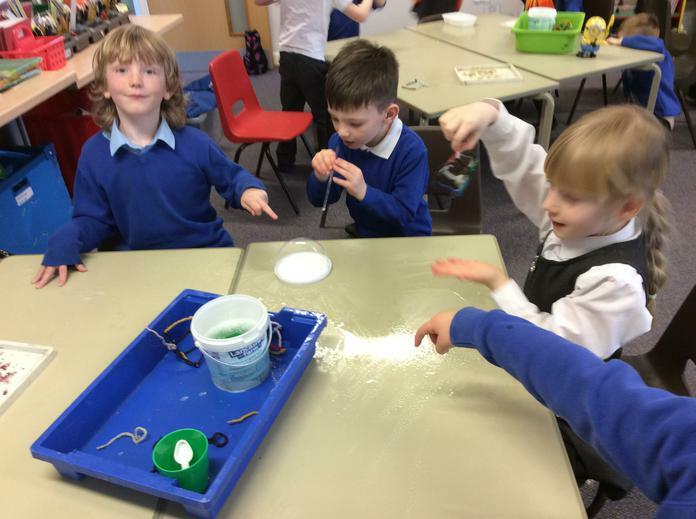 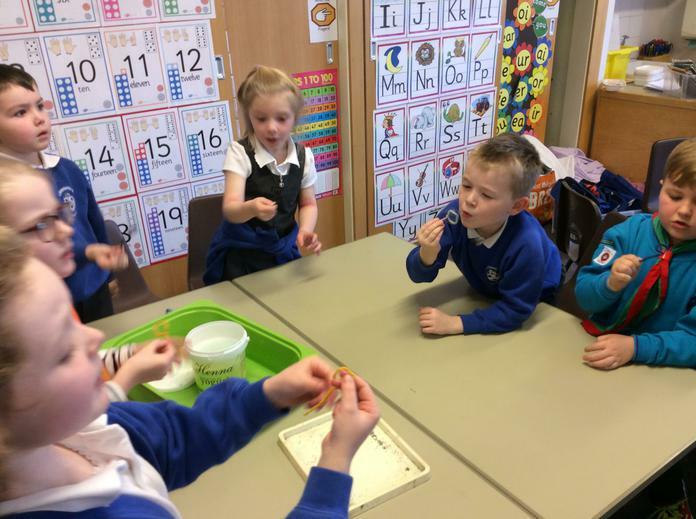 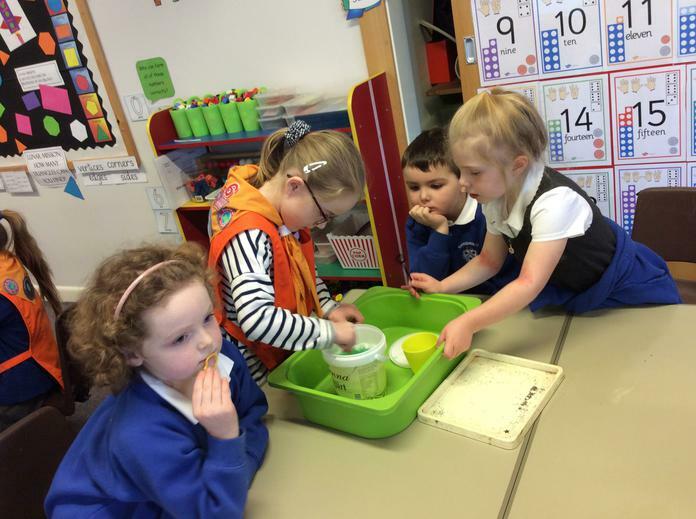 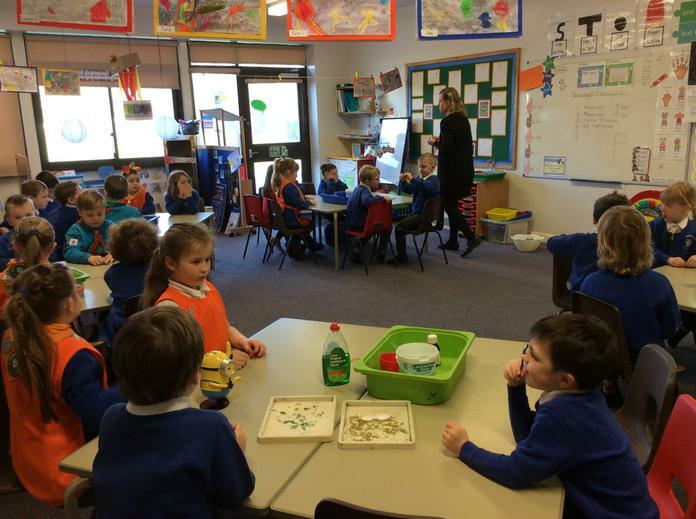 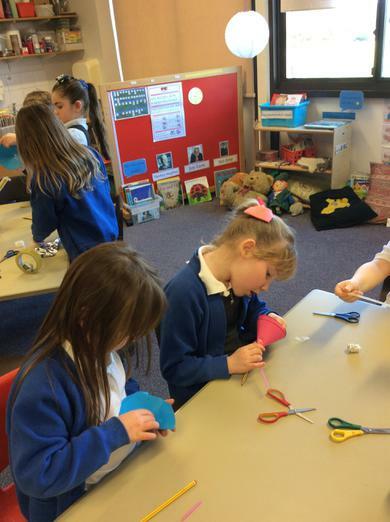 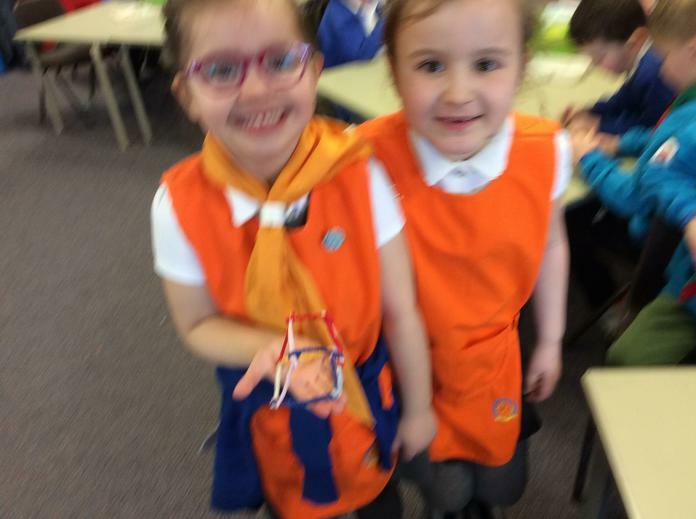 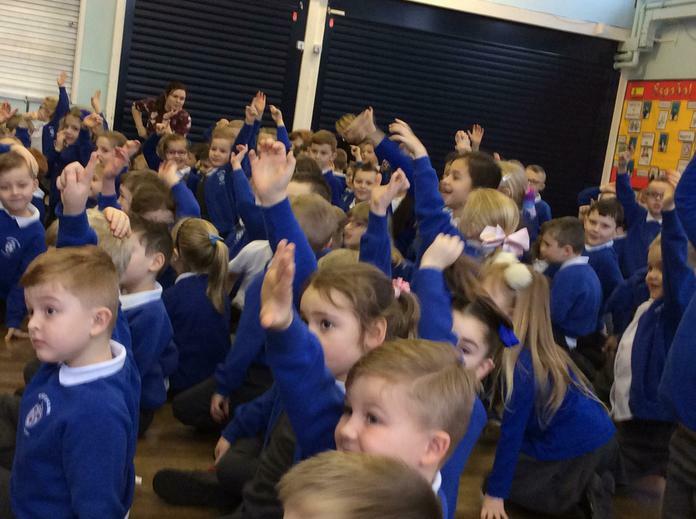 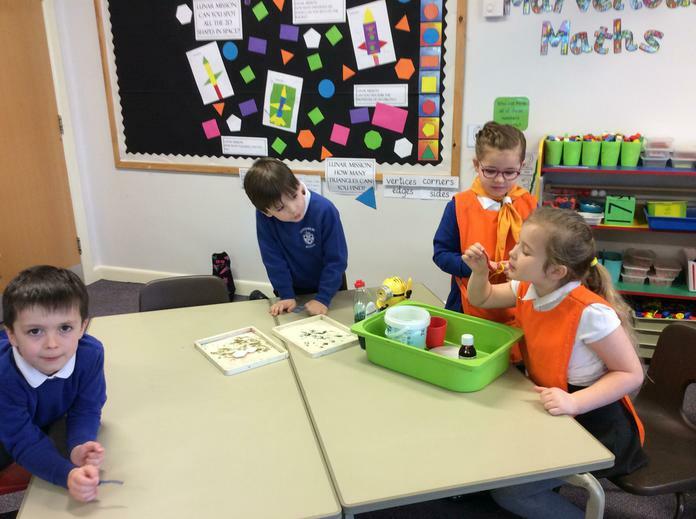 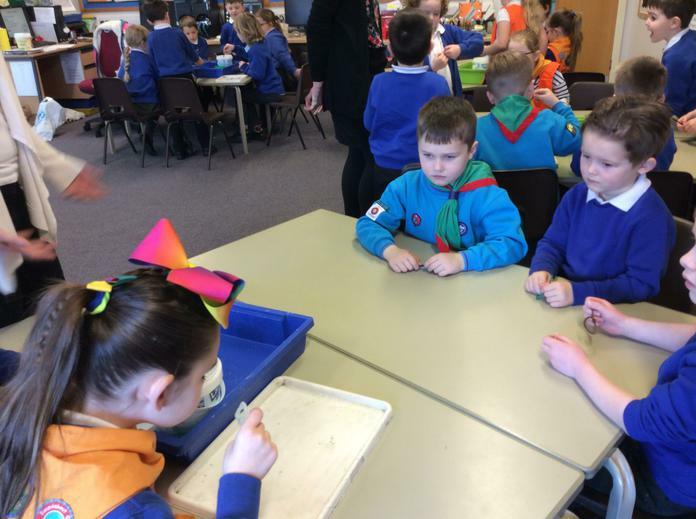 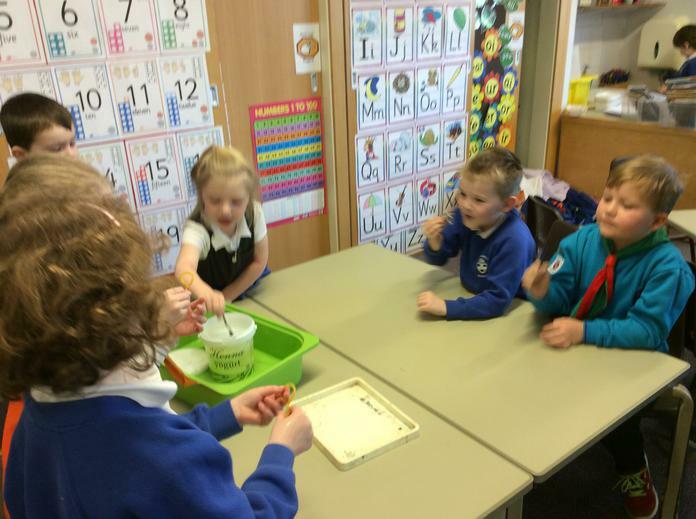 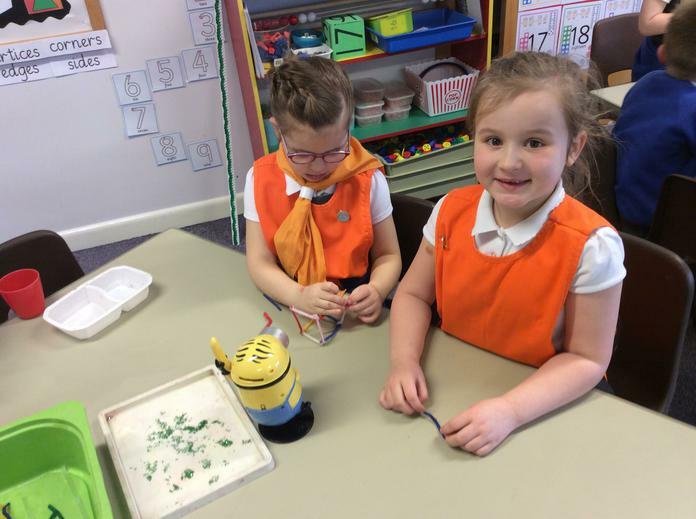 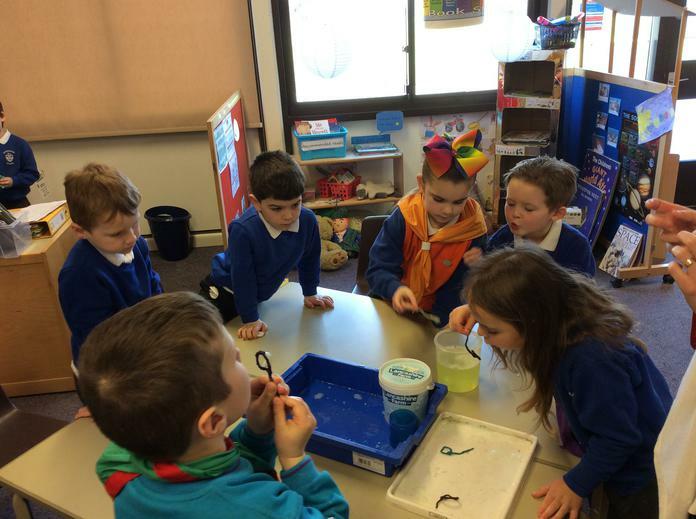 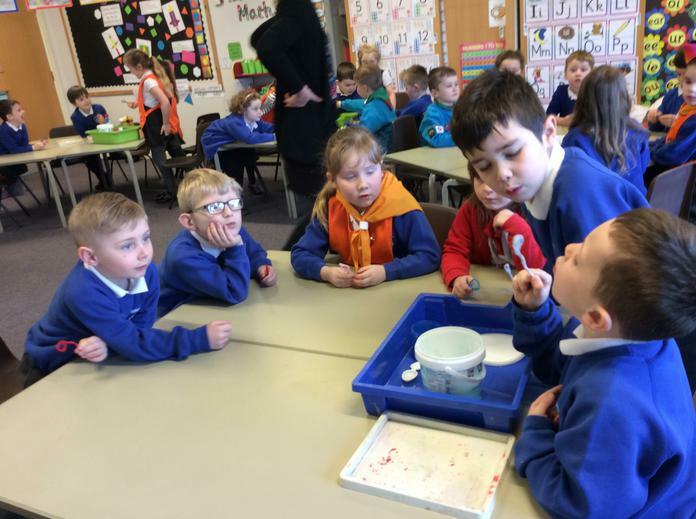 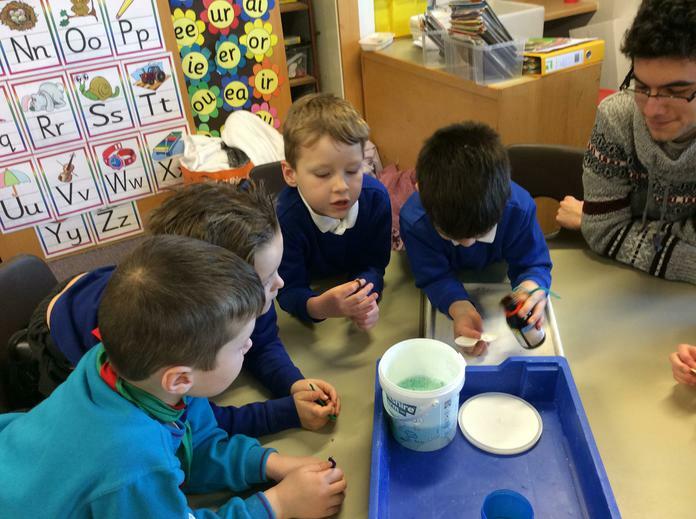 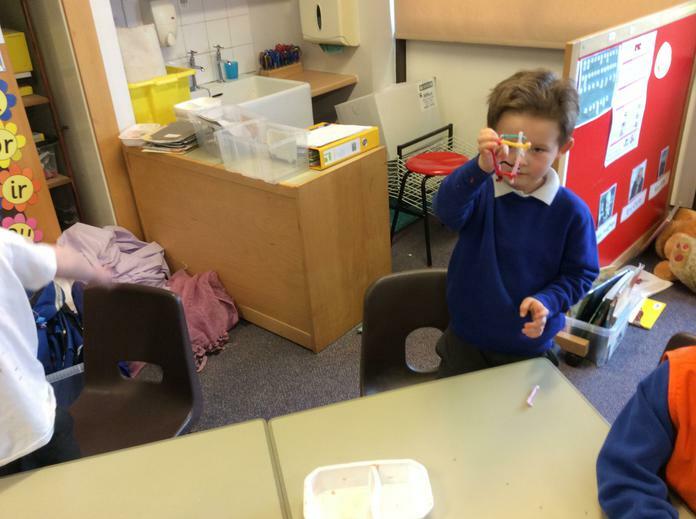 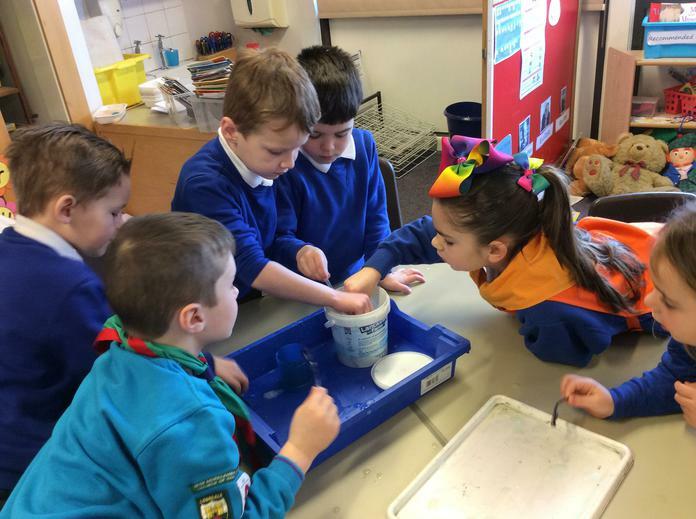 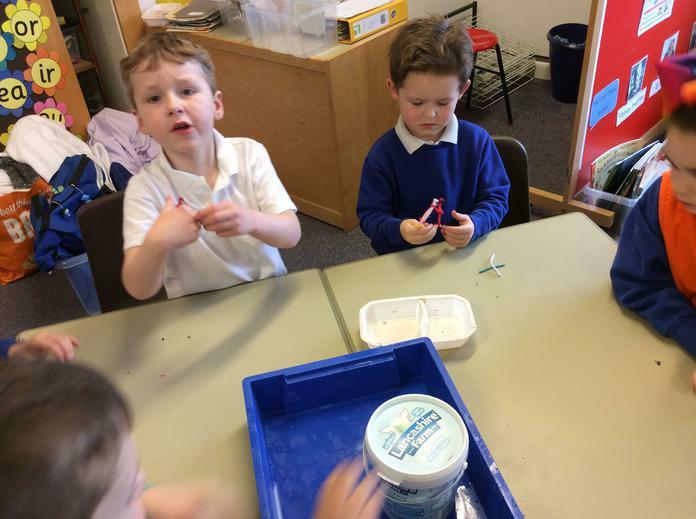 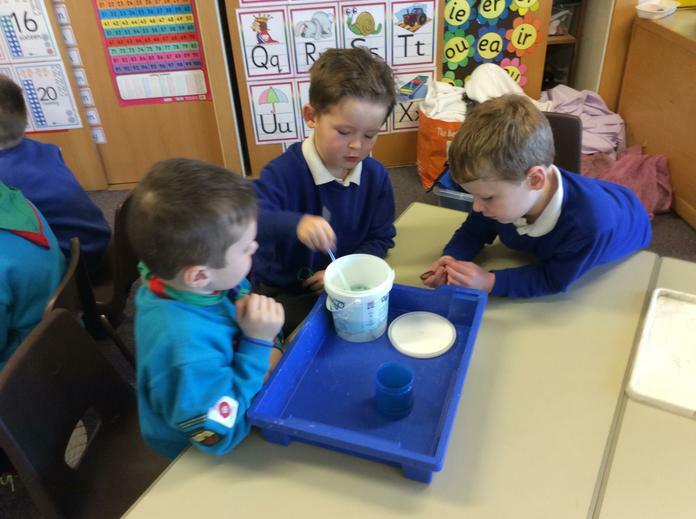 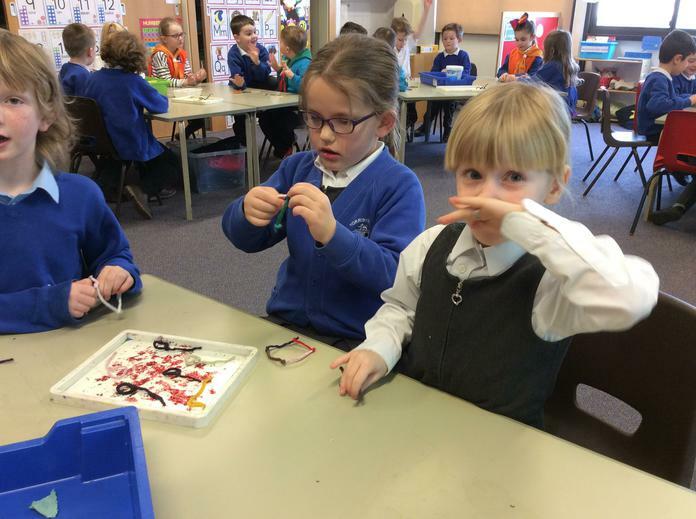 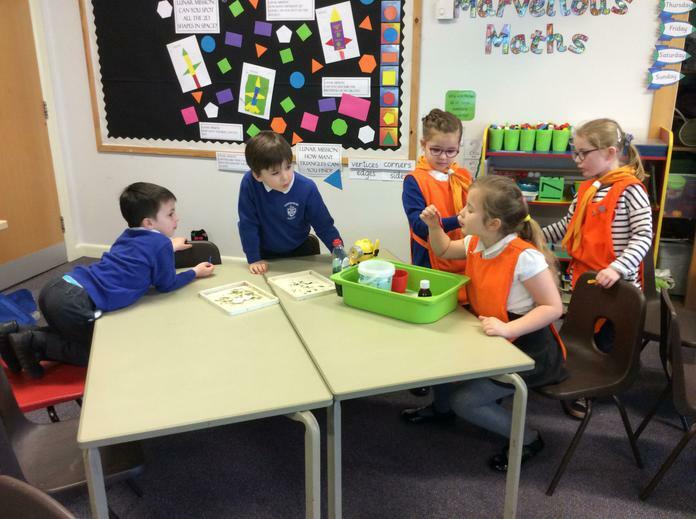 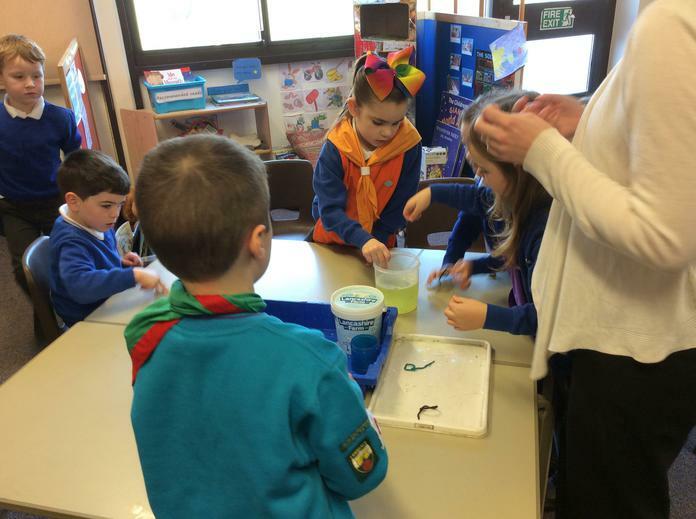 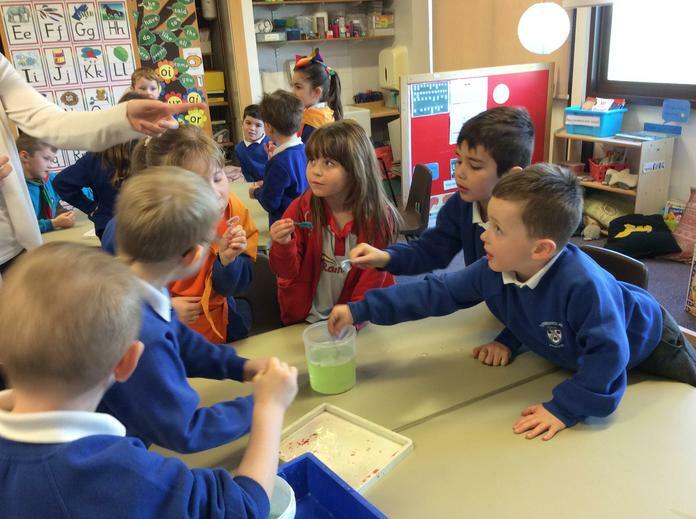 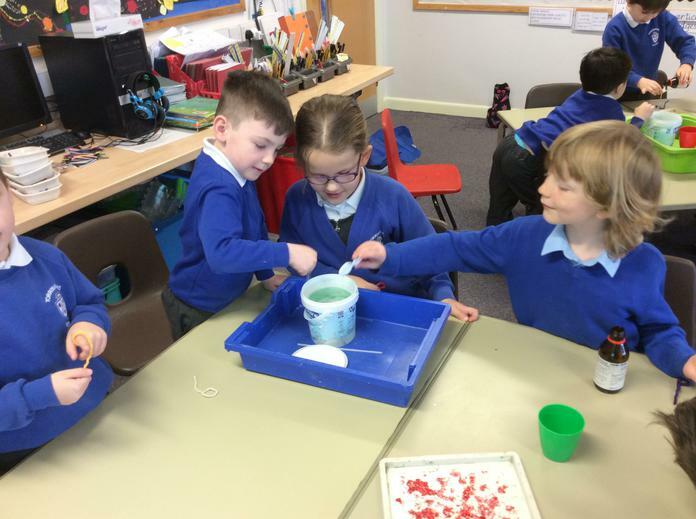 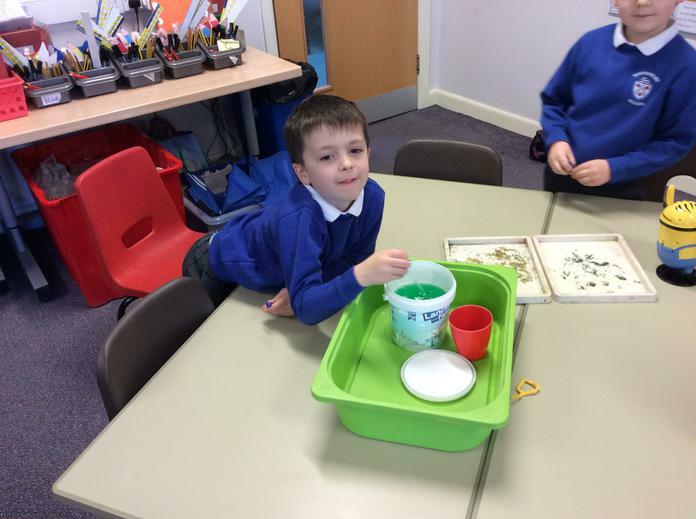 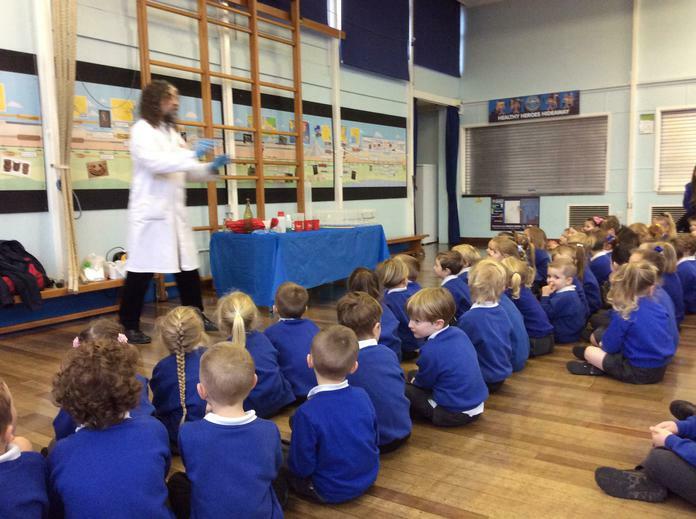 Over the course of this week the children will have the opportunity to take part in a wide range of scientific learning, predicting, experimenting and investigating. 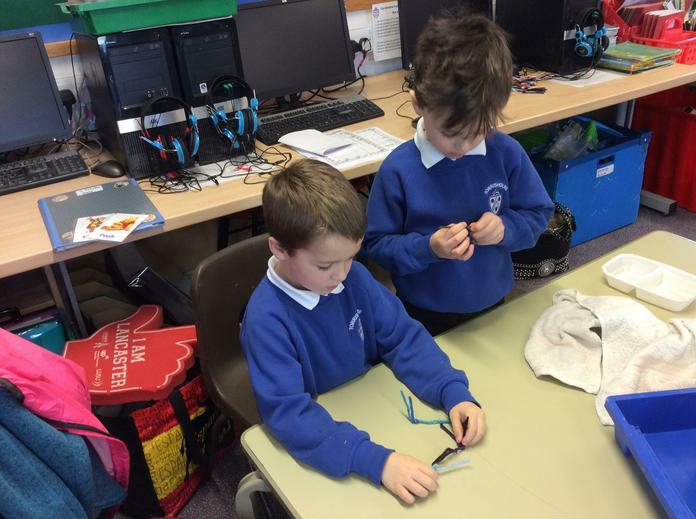 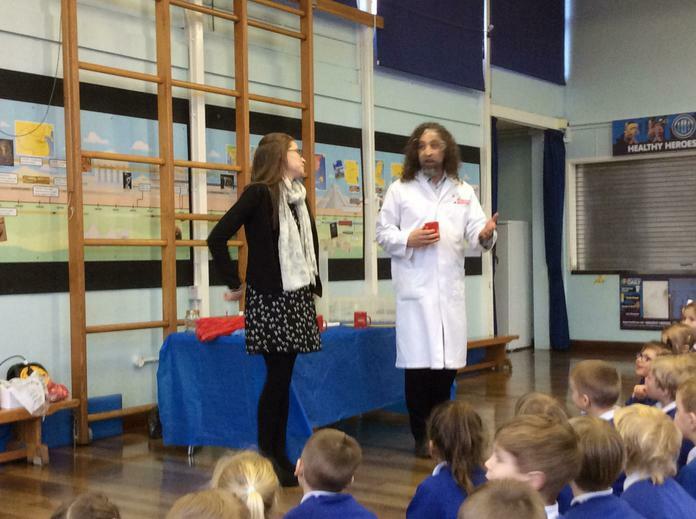 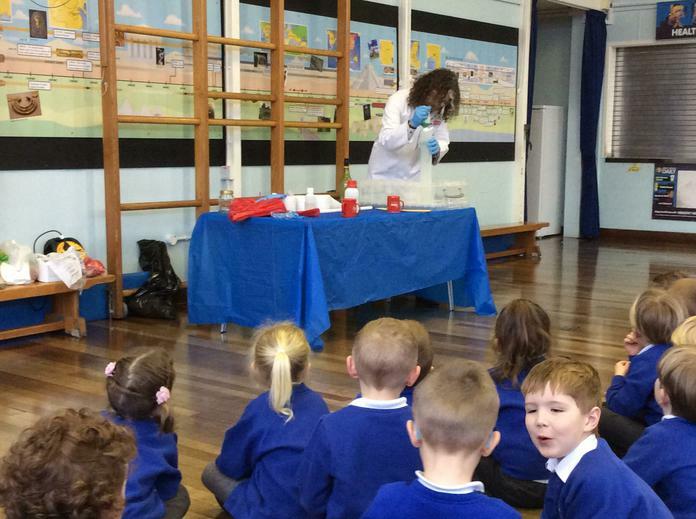 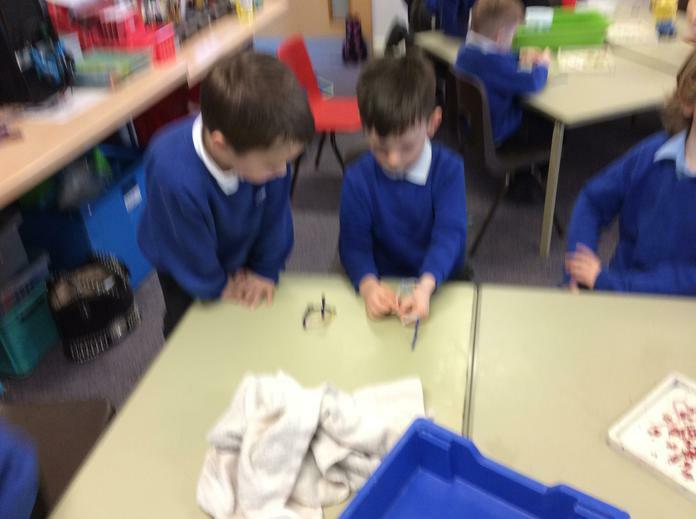 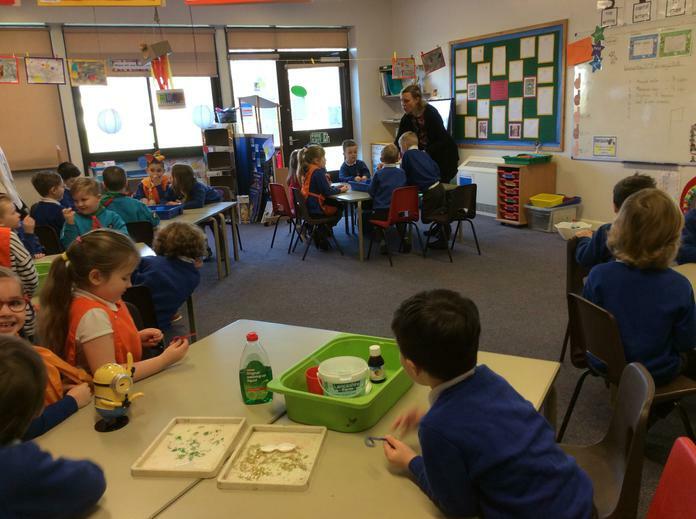 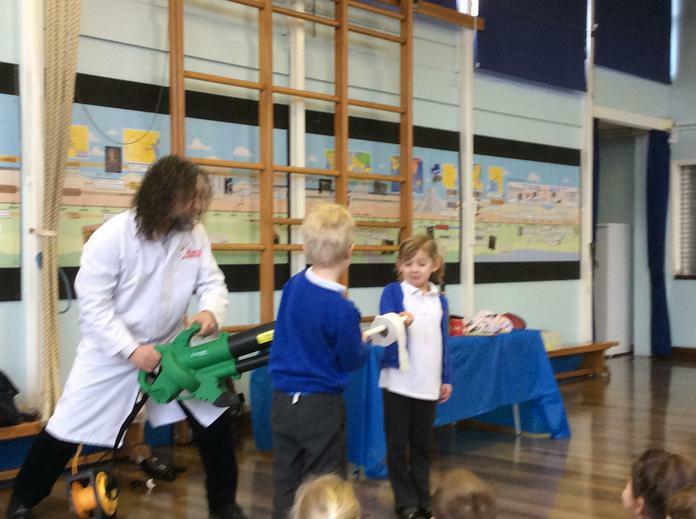 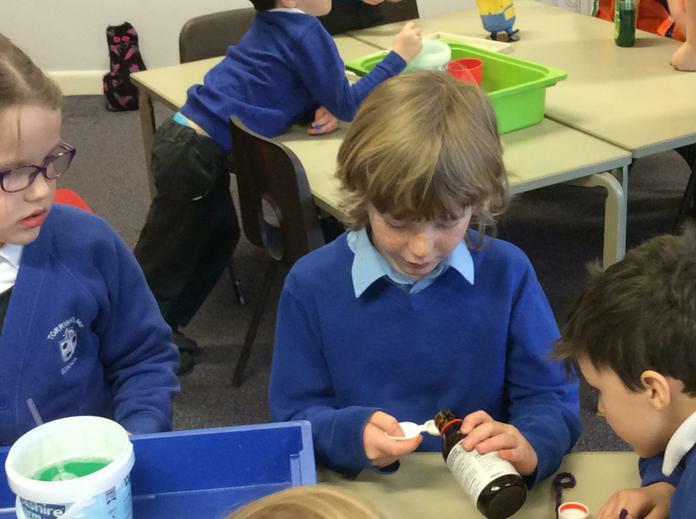 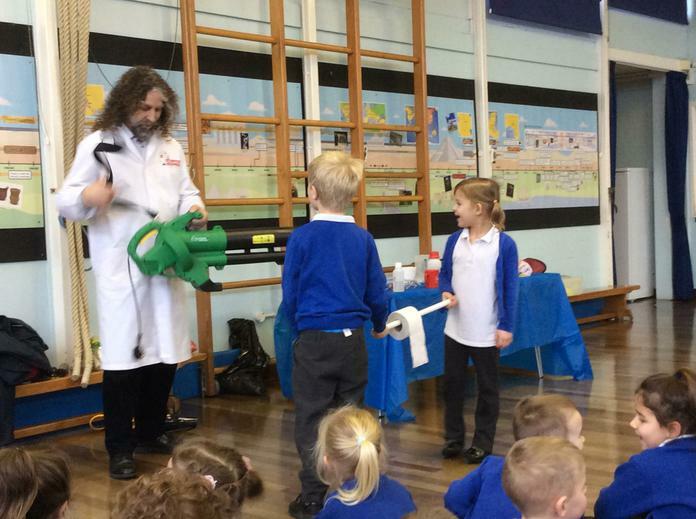 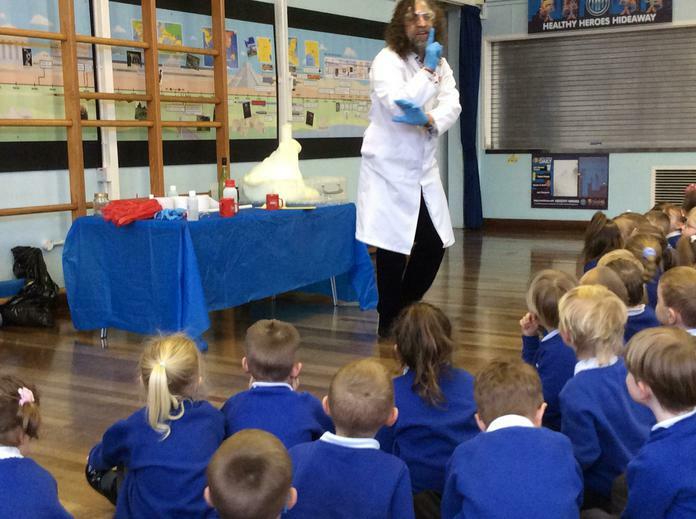 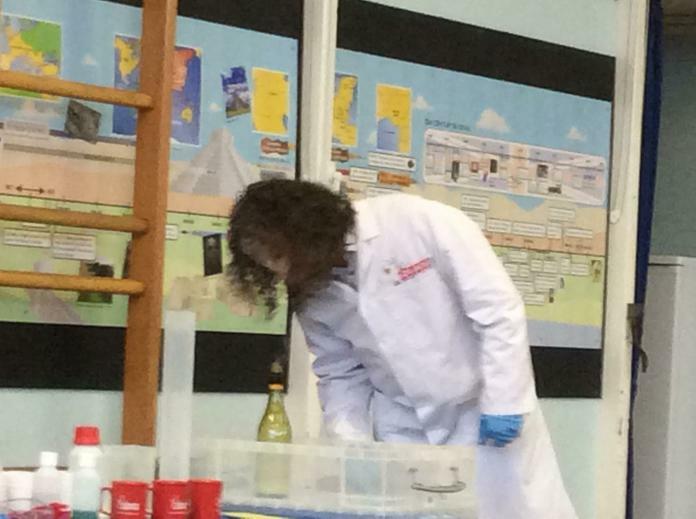 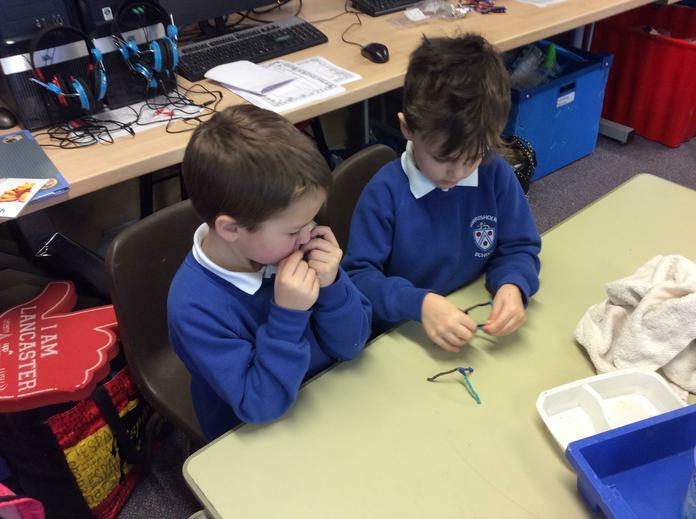 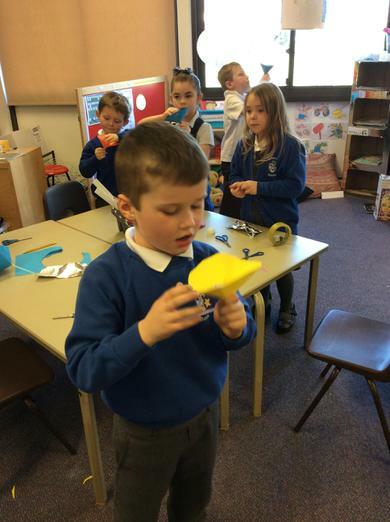 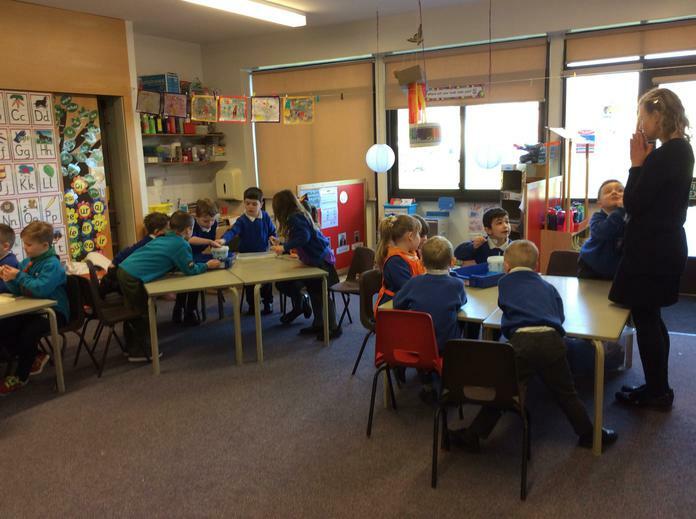 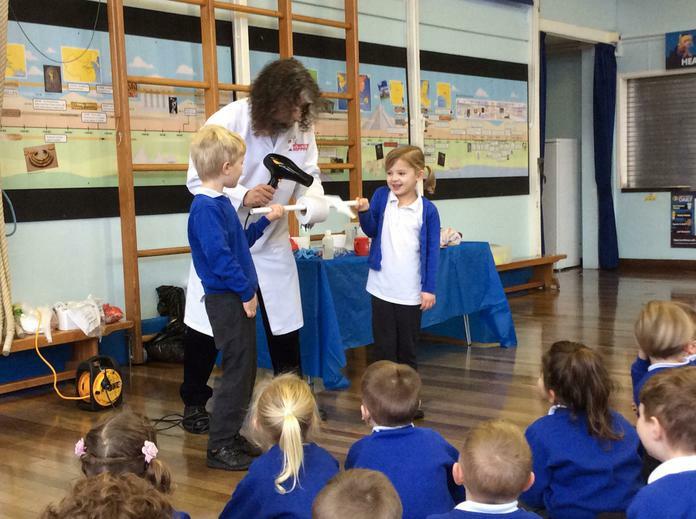 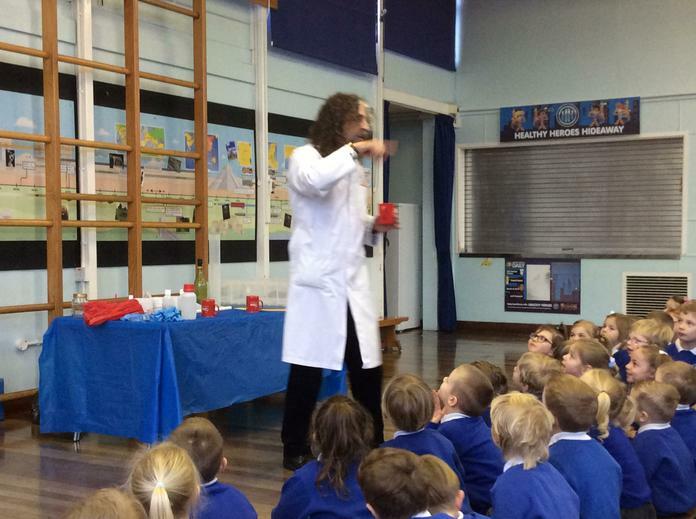 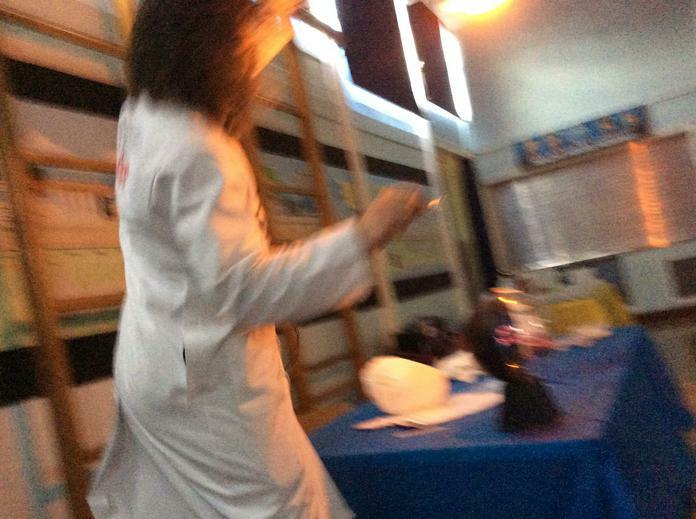 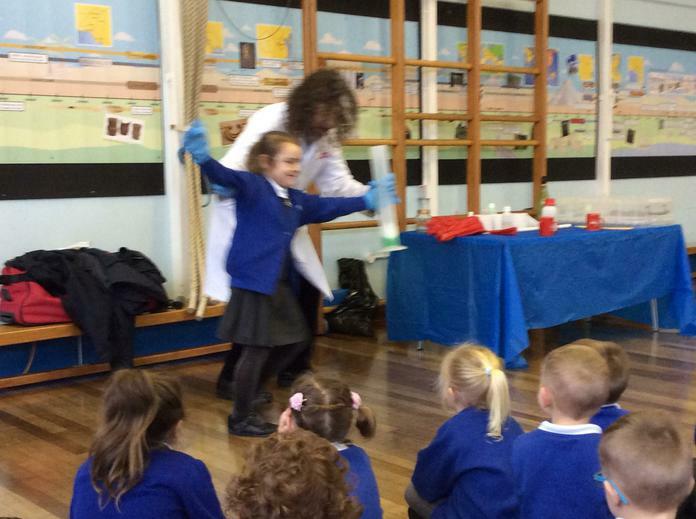 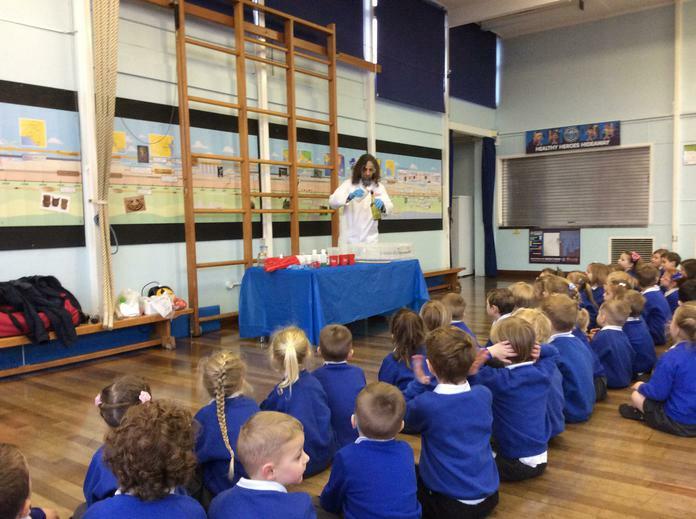 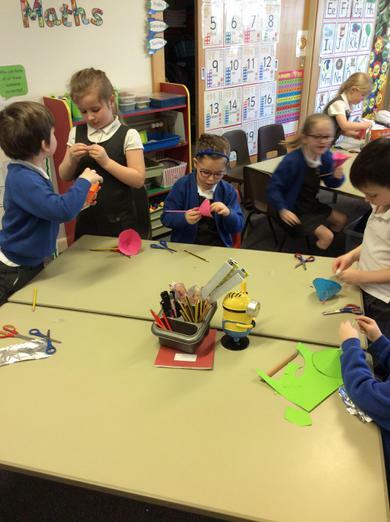 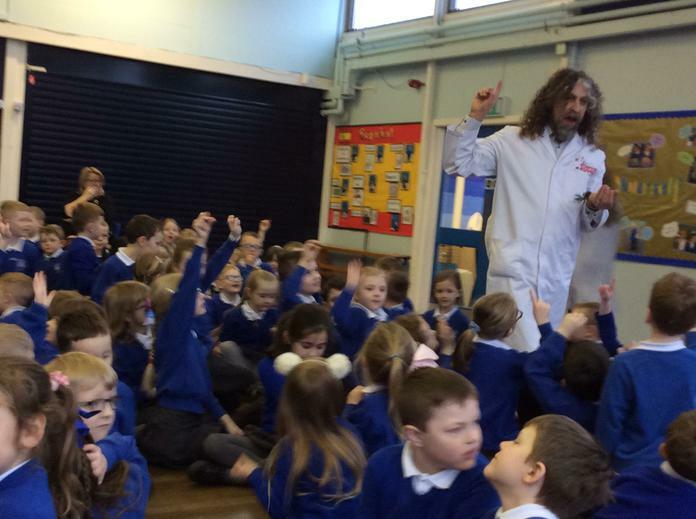 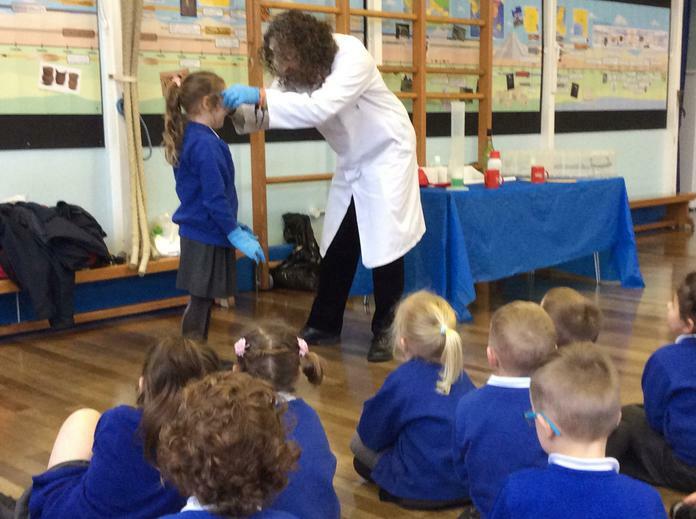 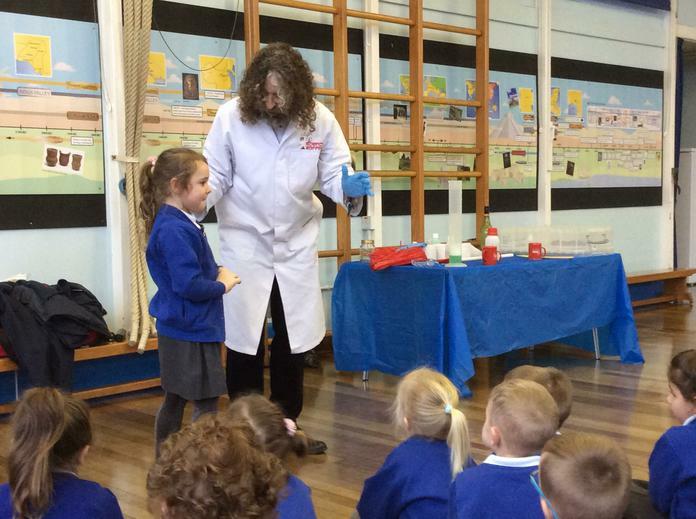 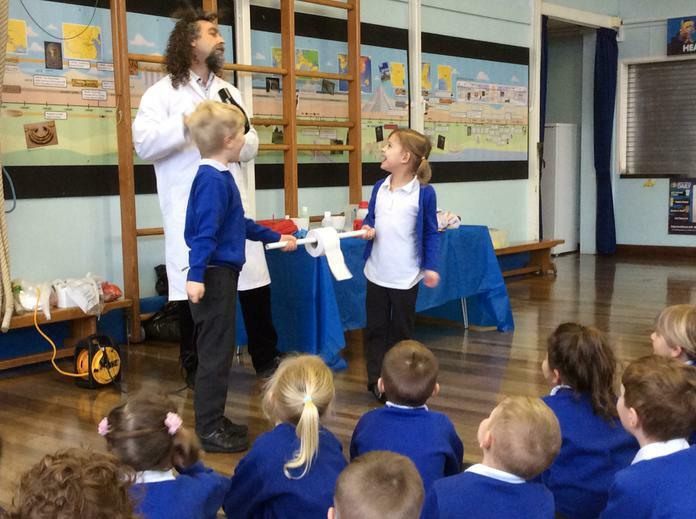 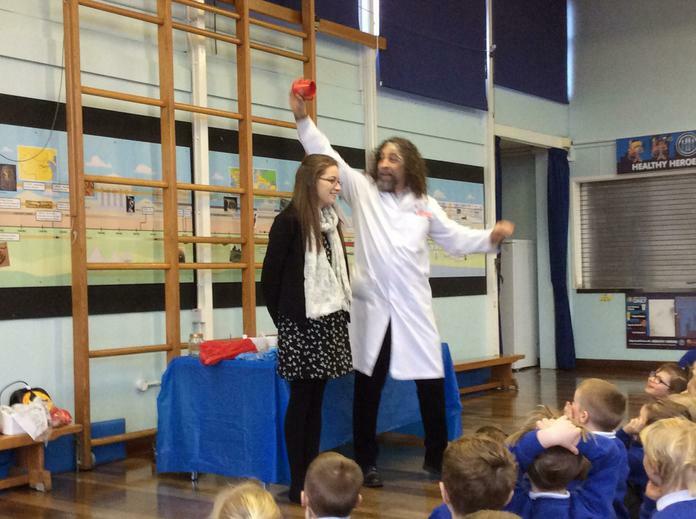 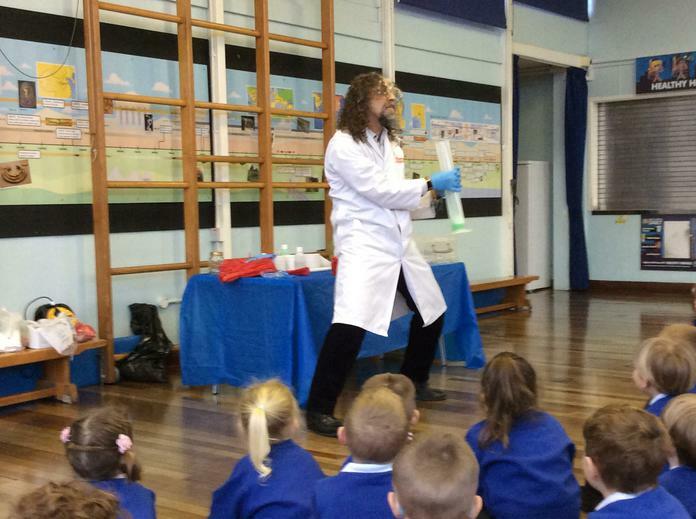 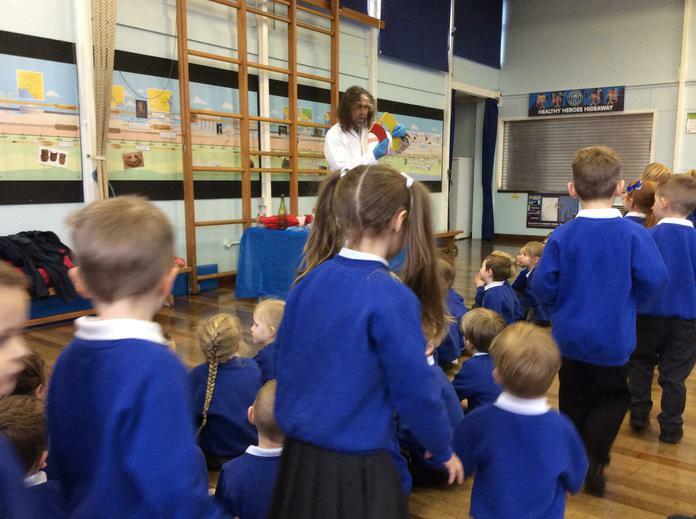 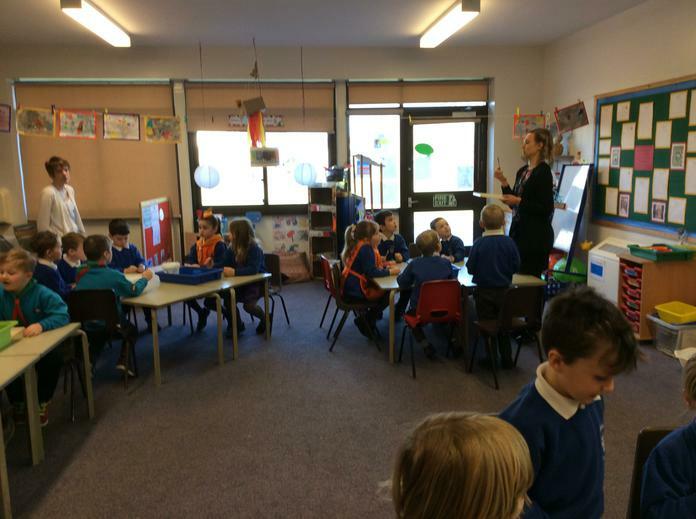 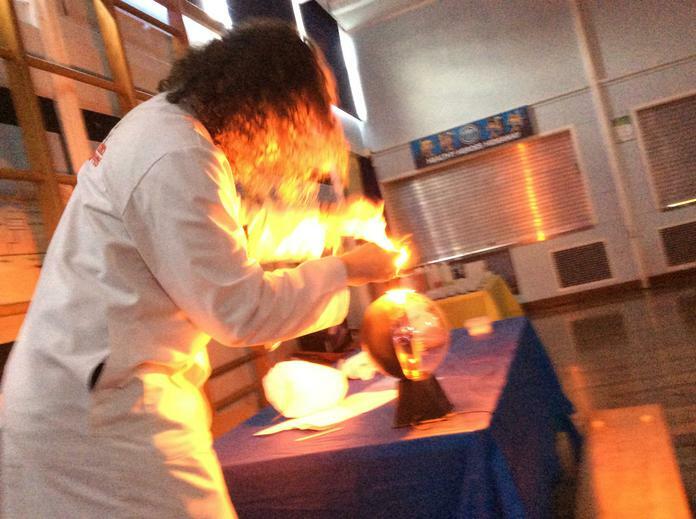 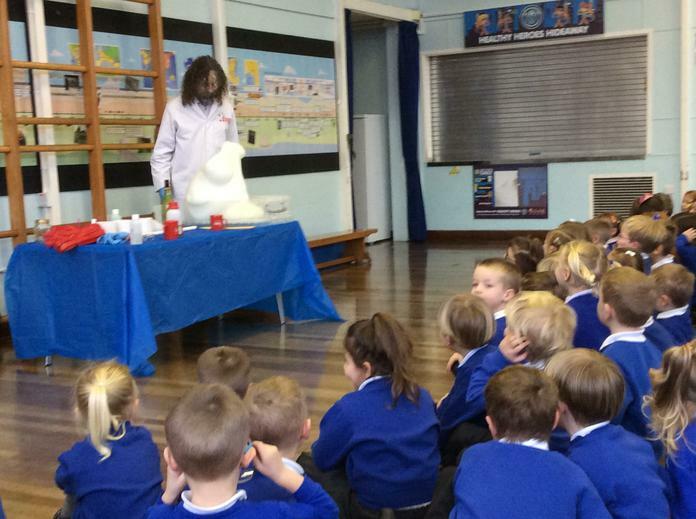 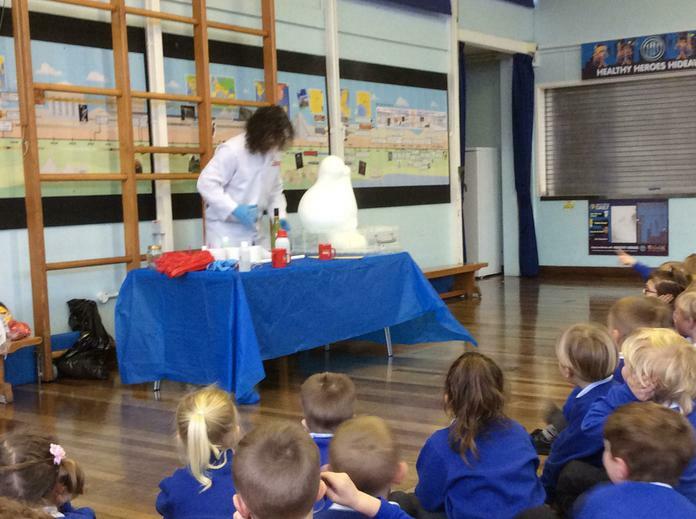 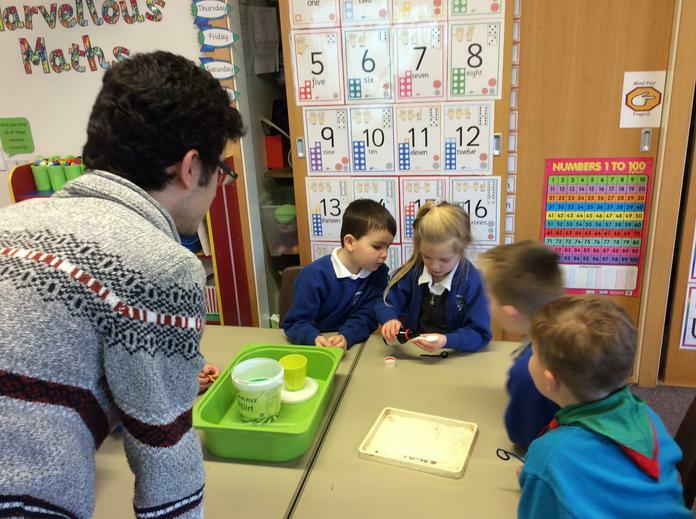 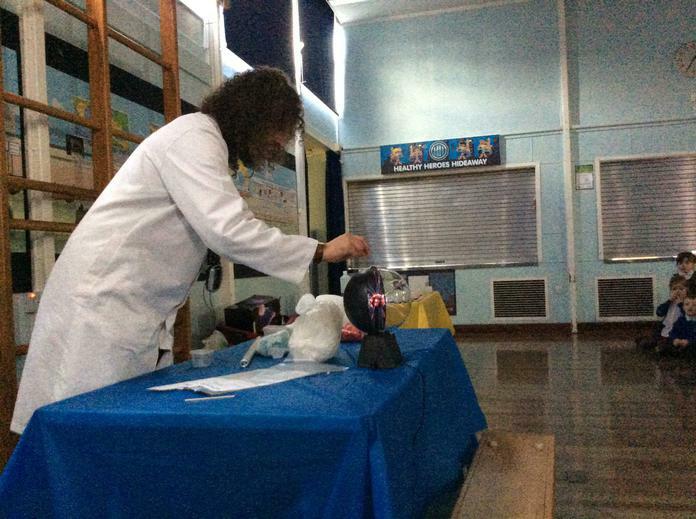 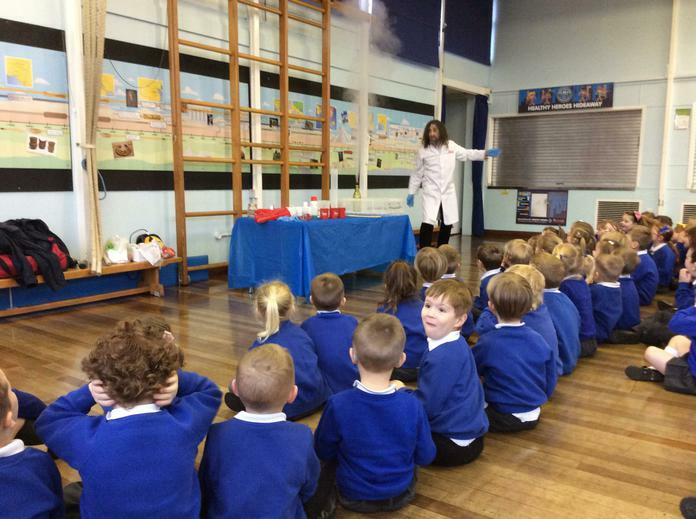 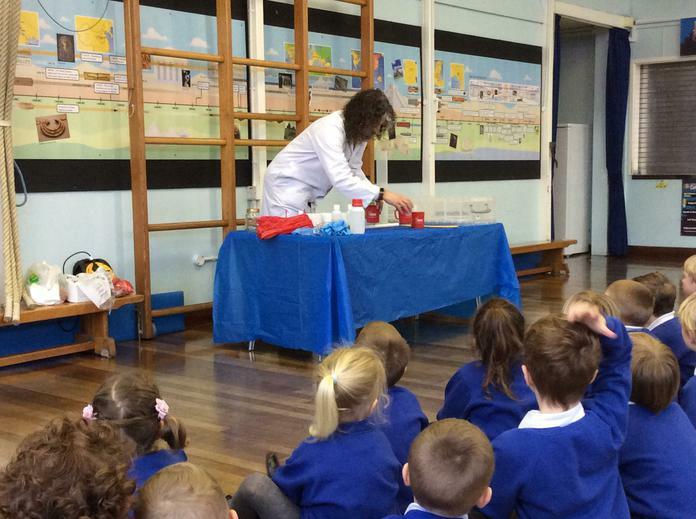 On Monday we worked with a real scientist during our science boffin workshop. 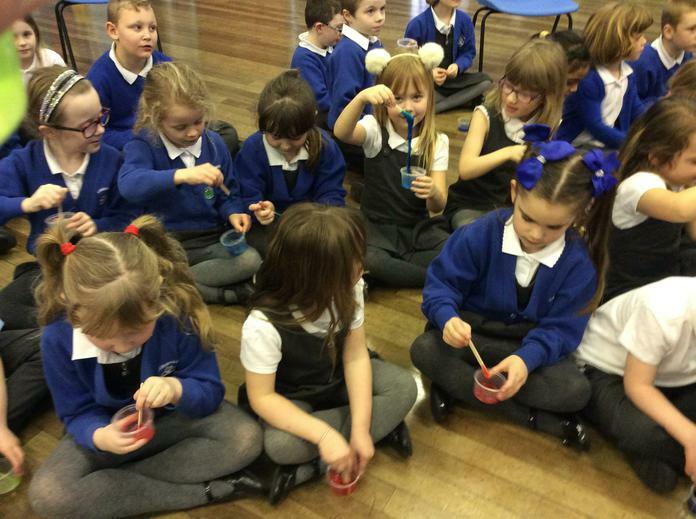 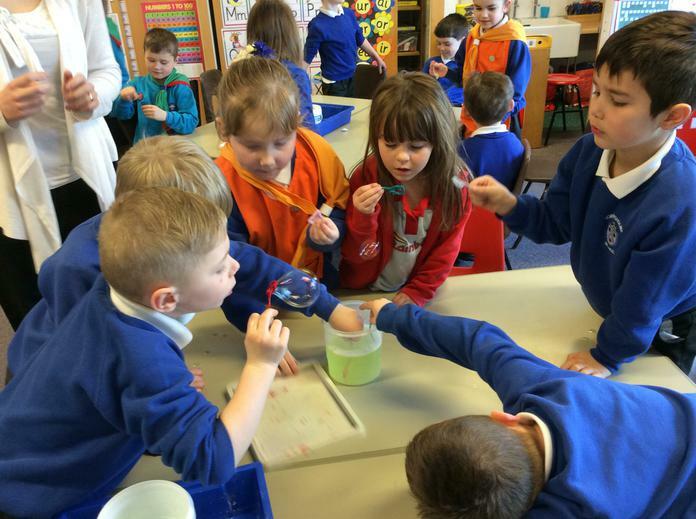 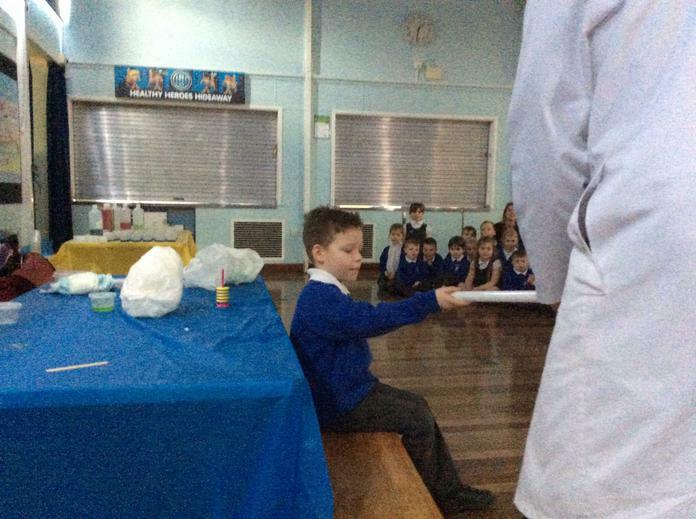 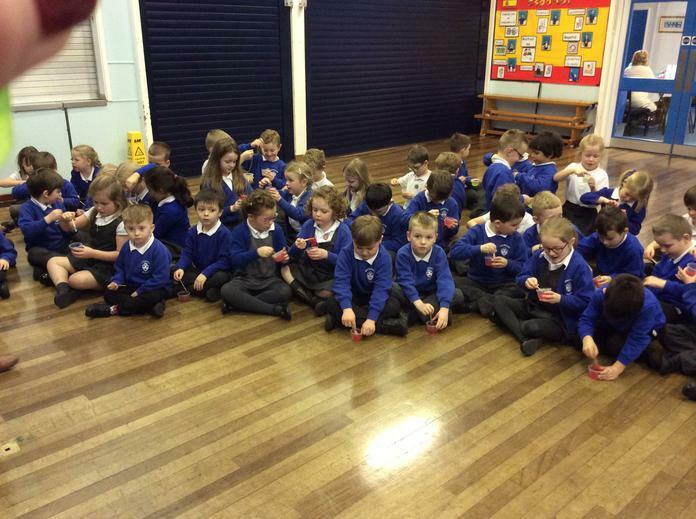 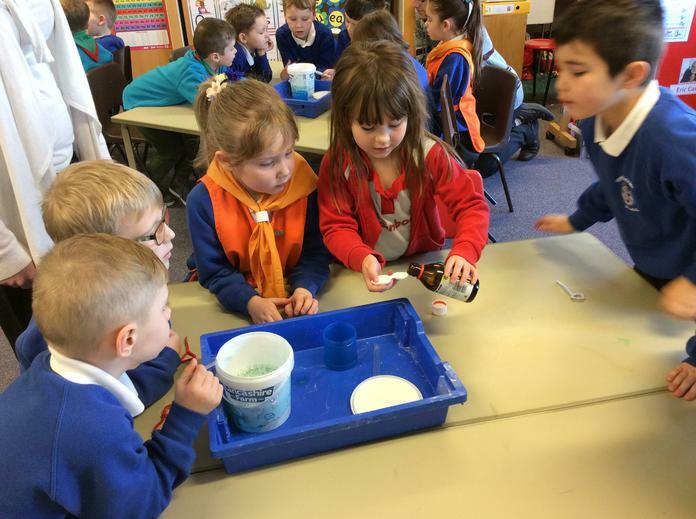 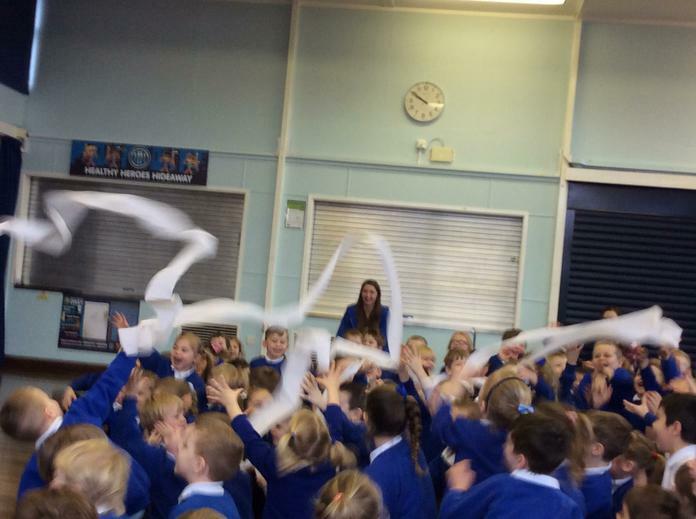 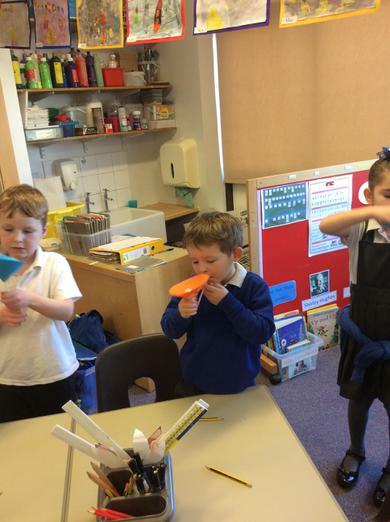 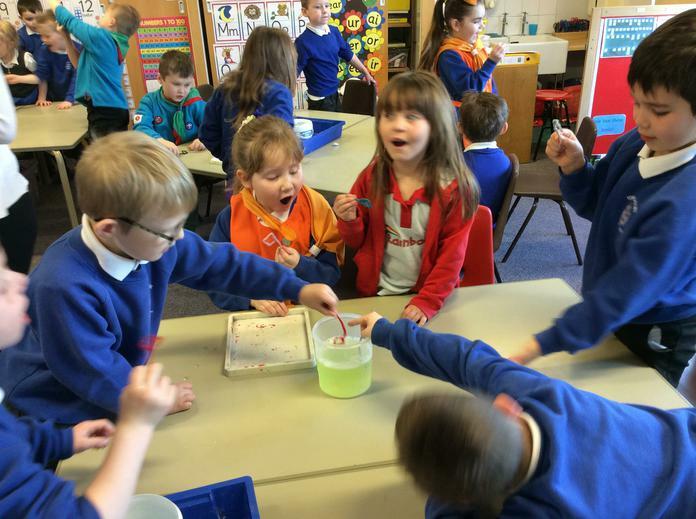 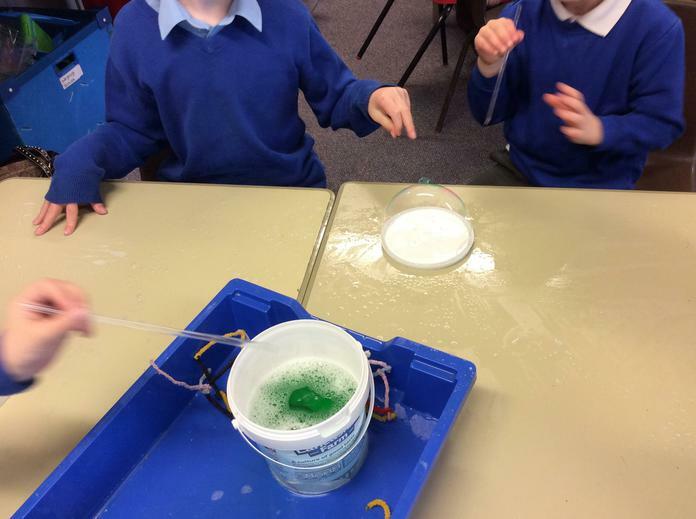 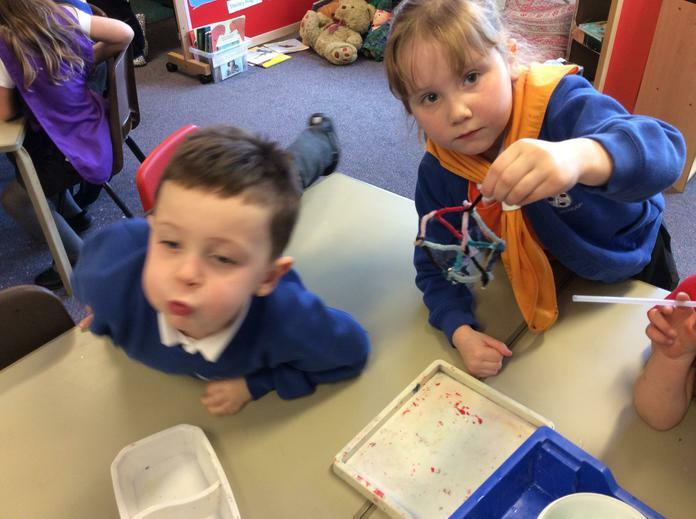 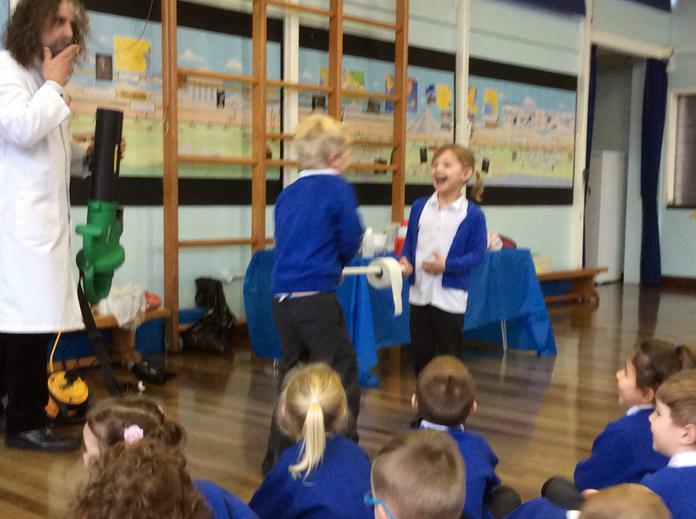 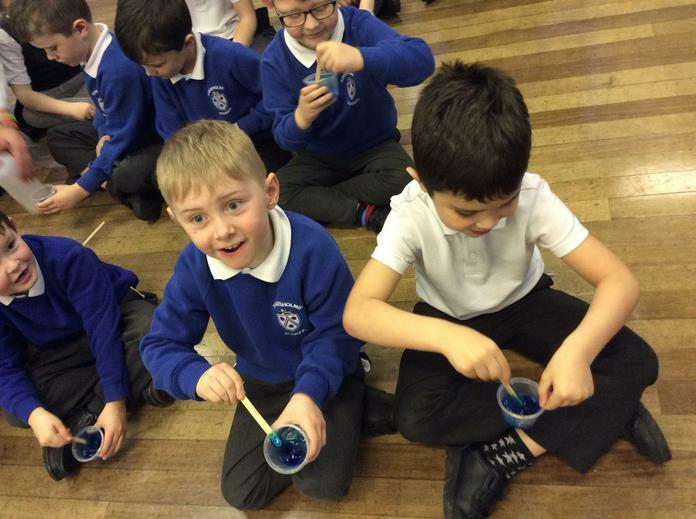 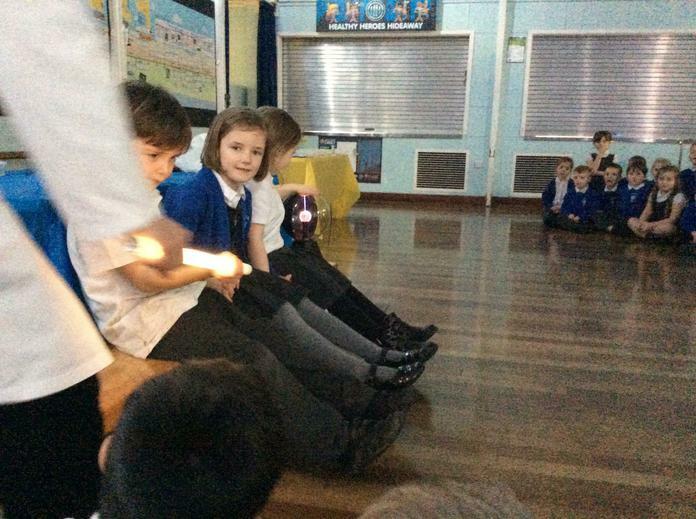 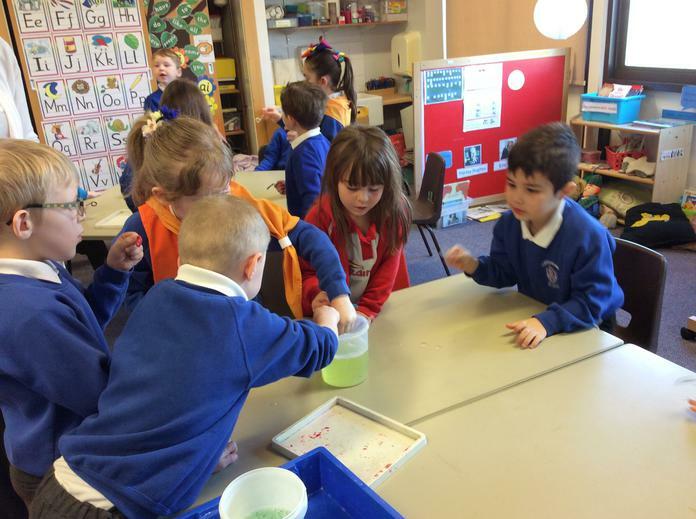 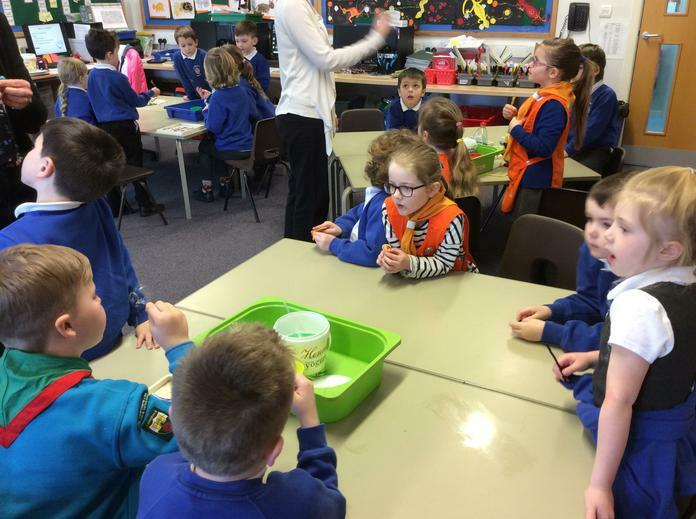 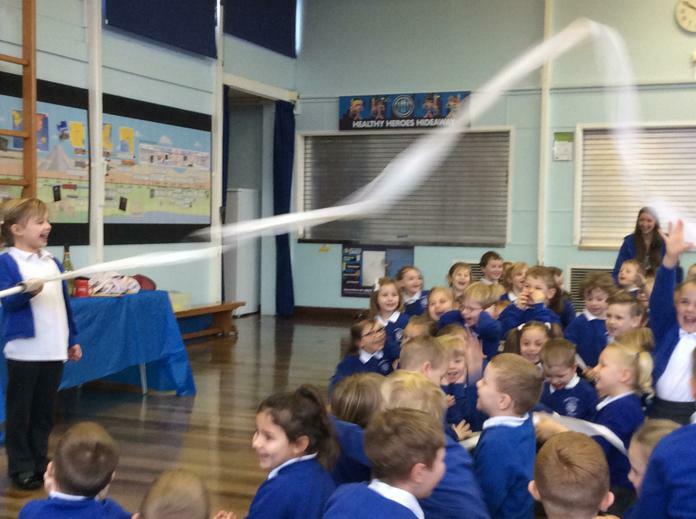 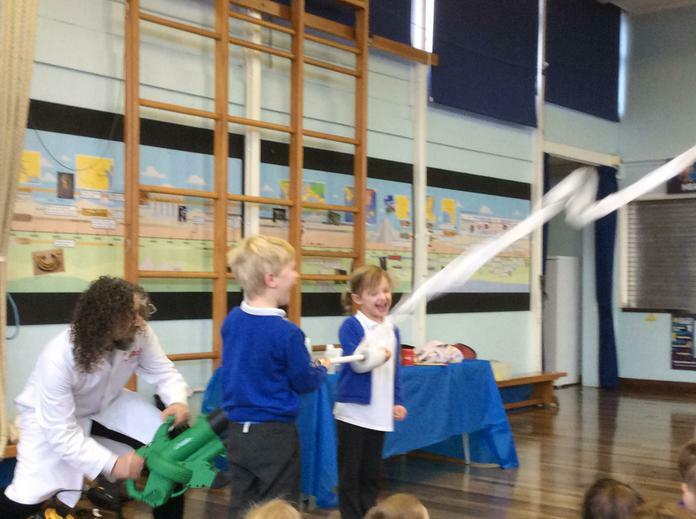 We looked at how different chemicals react with each other to make whizzes, pops and bangs! 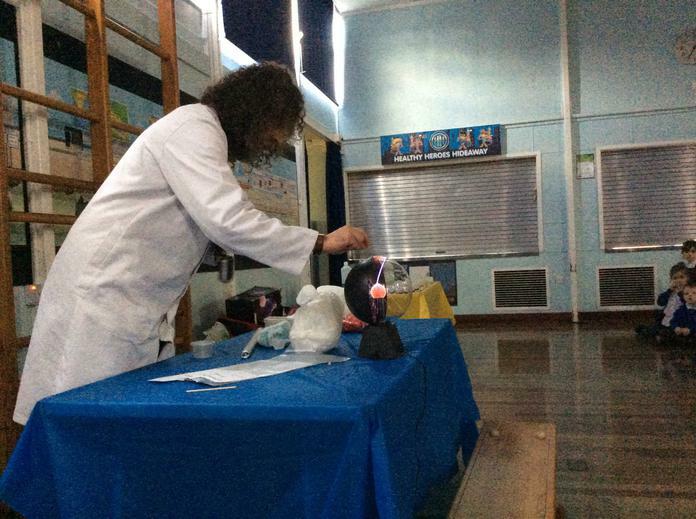 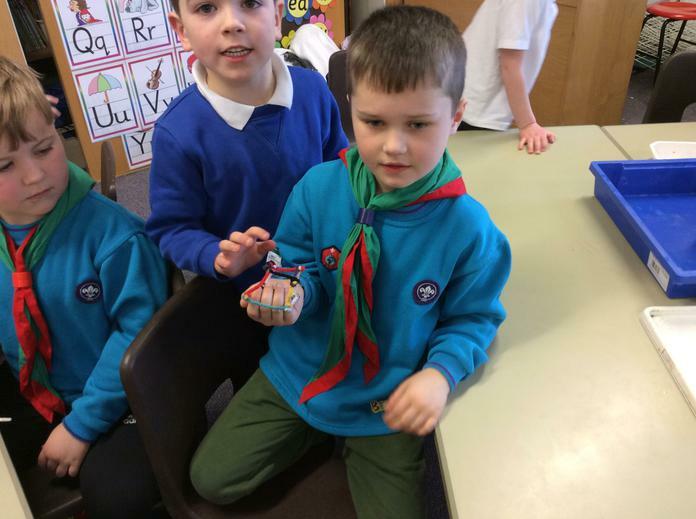 We used a plasma ball to conduct electricity and we stirred up our own pots of gooey slime!! 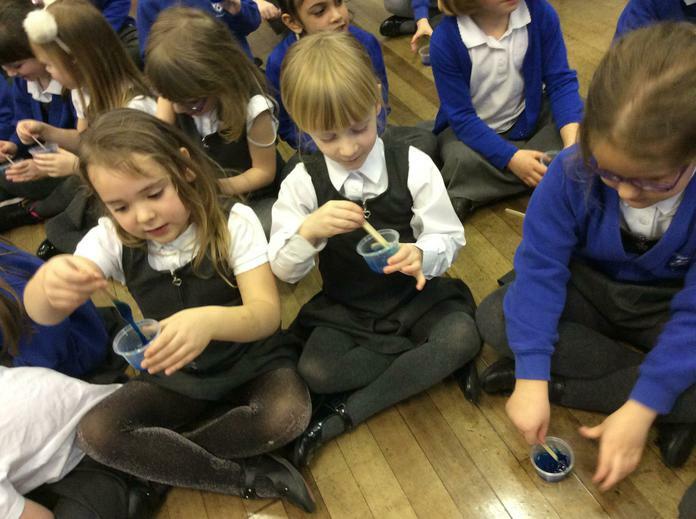 Hello 1s, our alien babies are not toilet trained - what will they wear when we come to visit you on Earth? 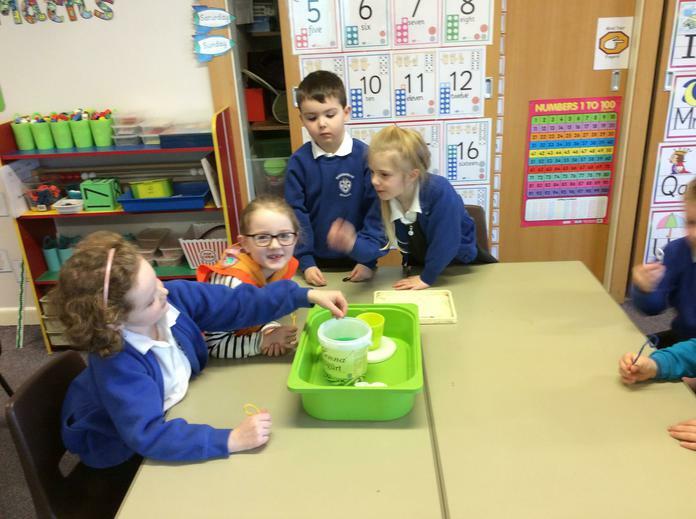 Today we tested the absorbency of different materials to find the perfect one for an alien babies nappy. 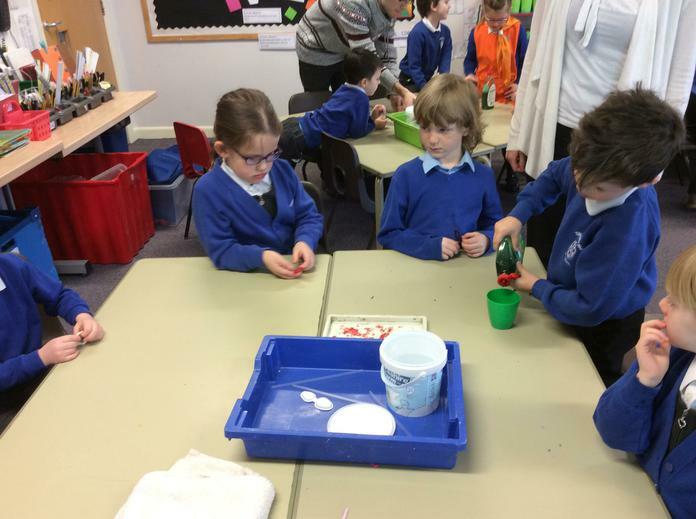 We conducted a fair test and found that sponge was the most absorbent material. 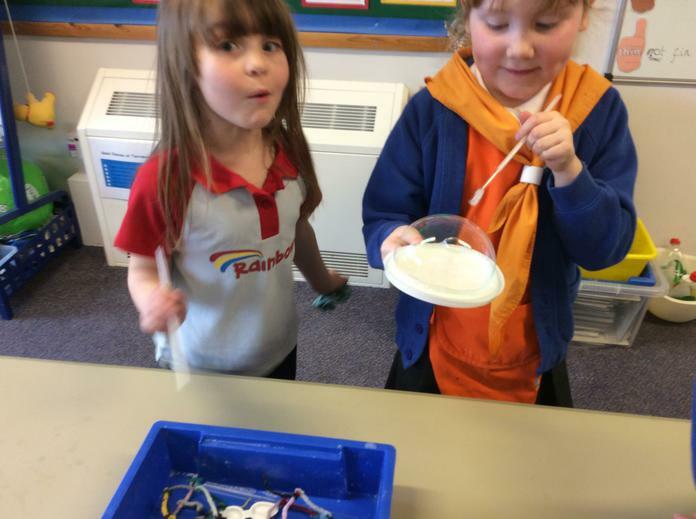 We learnt how to use pipettes. 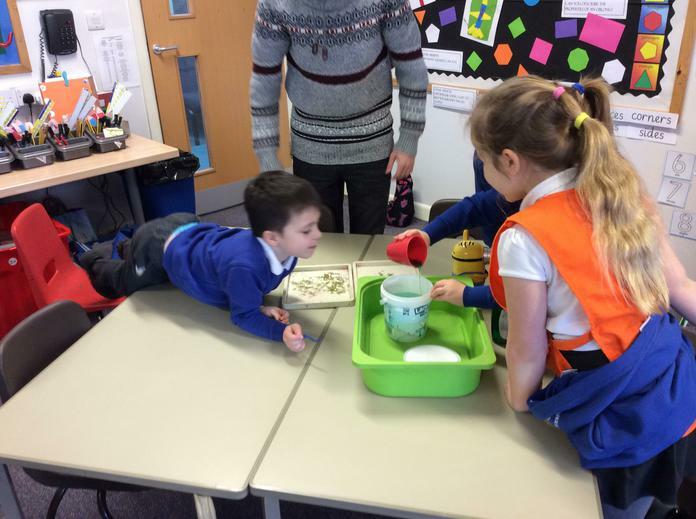 We conducted a fair test. 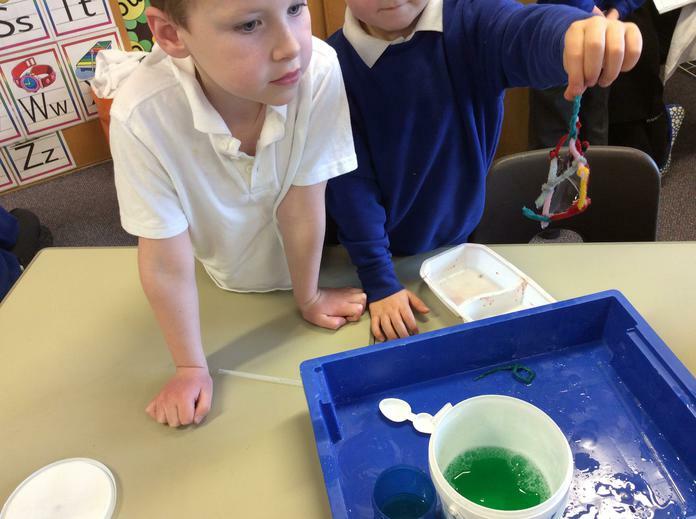 1S, please help us free our alien friends from the ice. 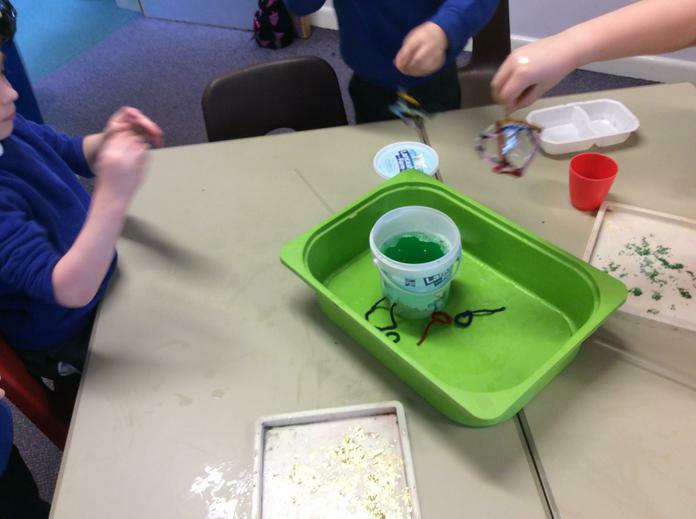 Which of the following tools and materials would help us free the aliens from the ice in the quickest time? 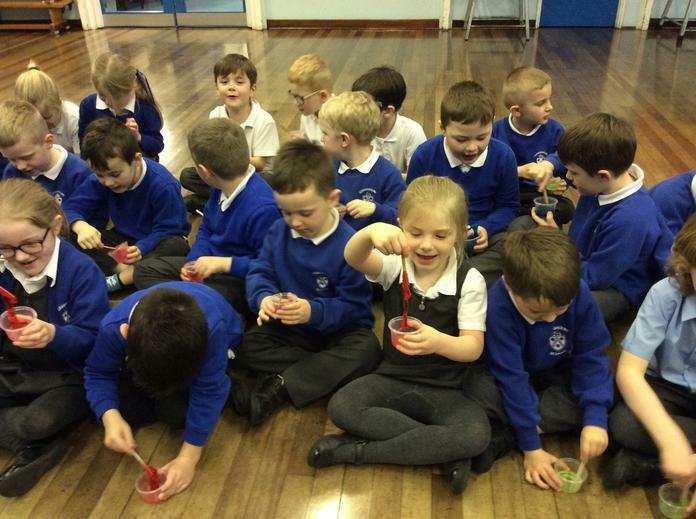 Chipping the ice with a spoon. 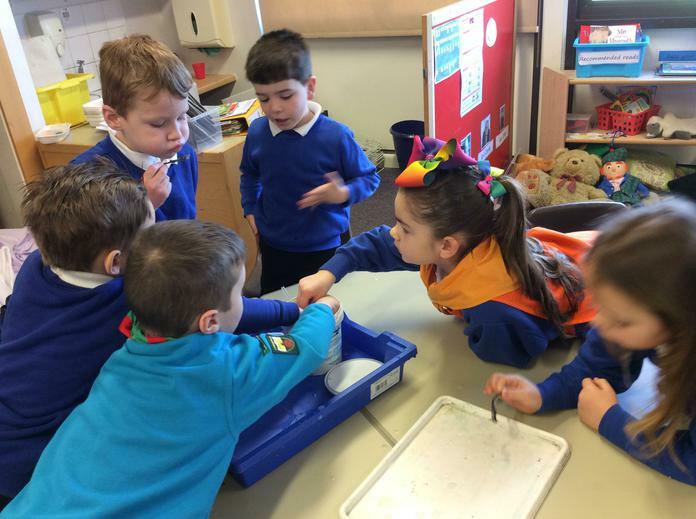 Rubbing the ice with a fluffy towel. 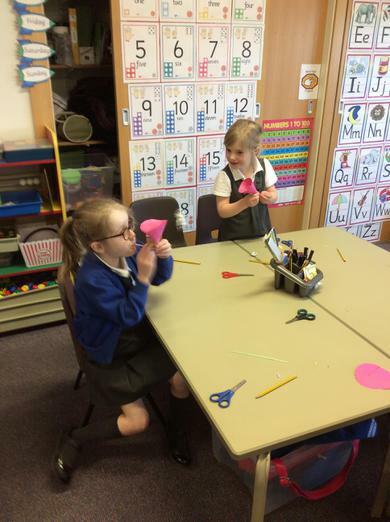 Using our breath to warm the ice. 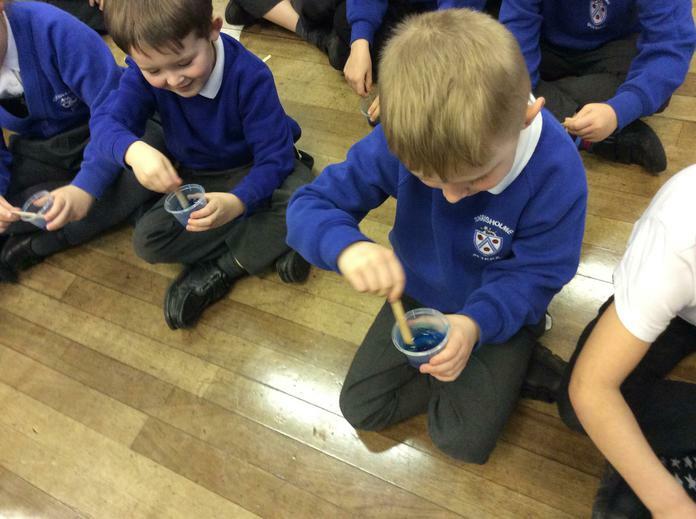 Spooning salt onto the ice. 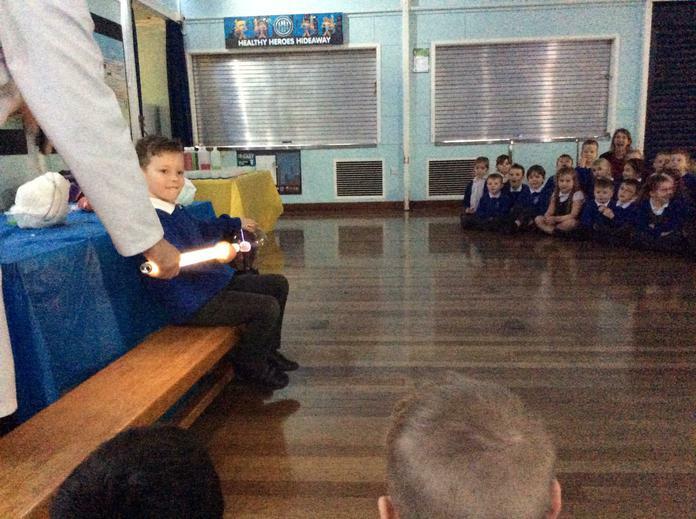 Who is going to free the alien first? 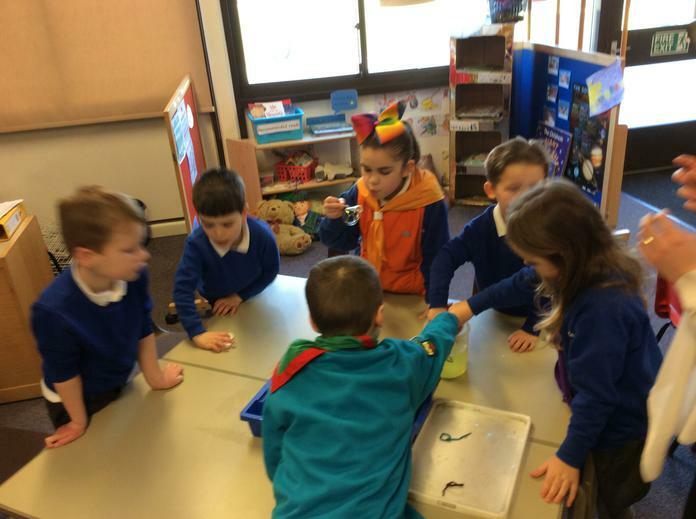 And the winner was...the spoon! 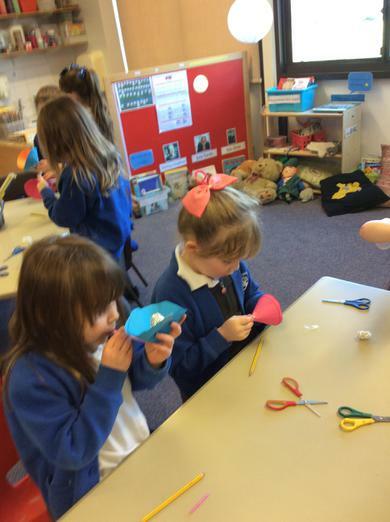 Luckily, they had just fallen out of the box so we were each able to make our own floating ball game. 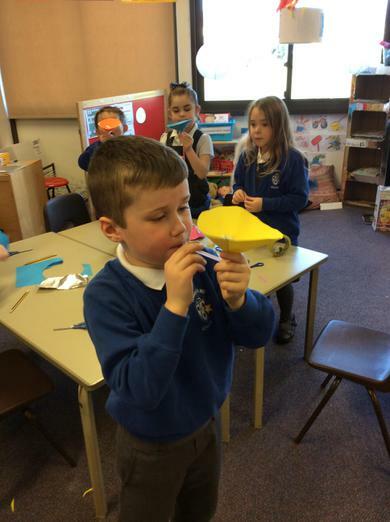 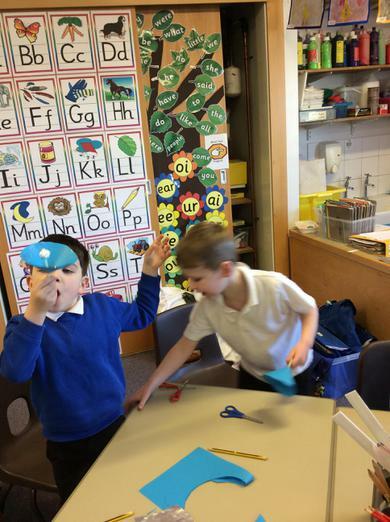 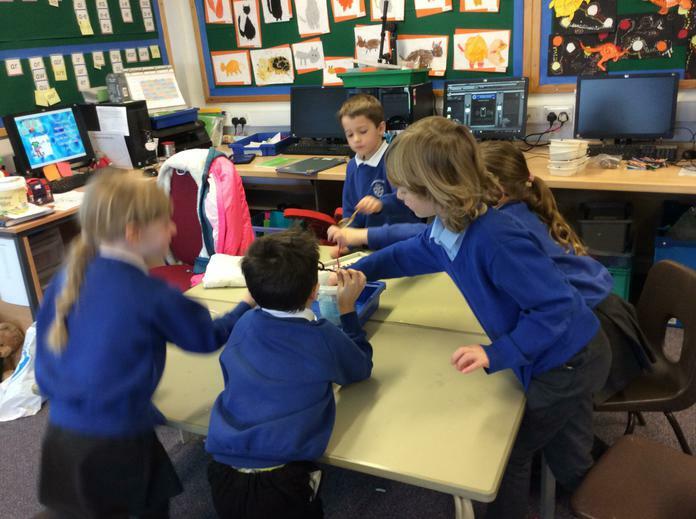 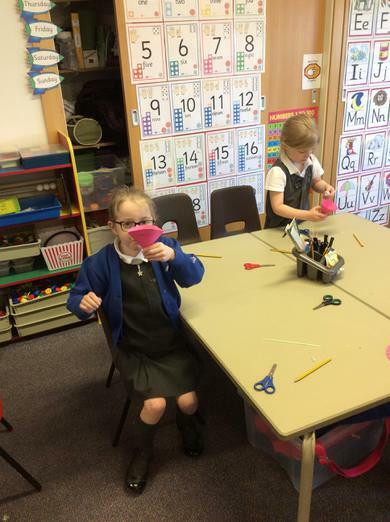 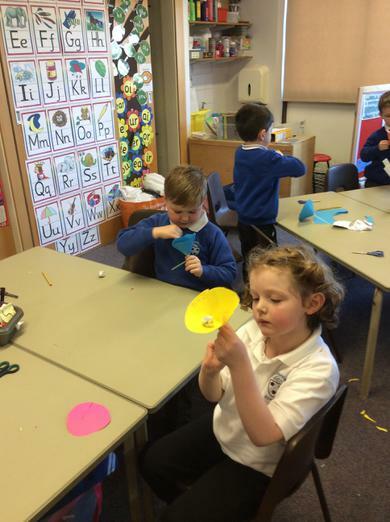 By blowing through the straw we discovered we could make the foil ball bounce about. 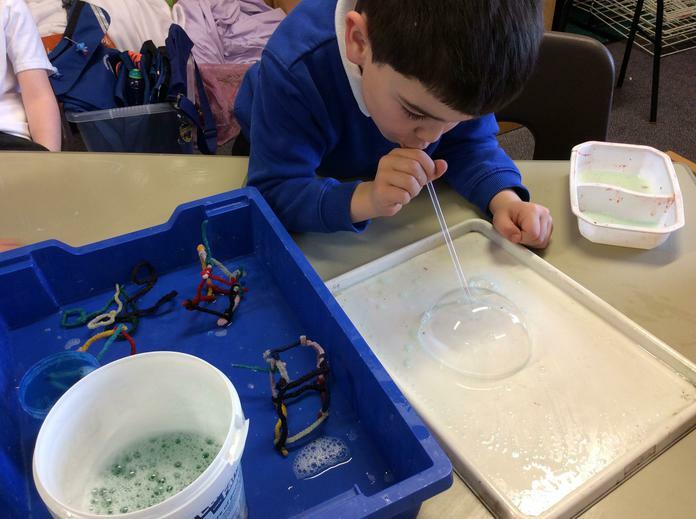 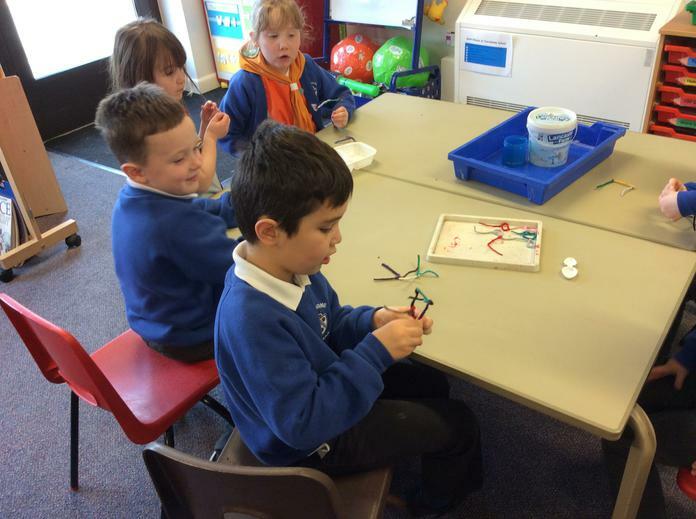 We had fun trying to make some square bubbles for the aliens !